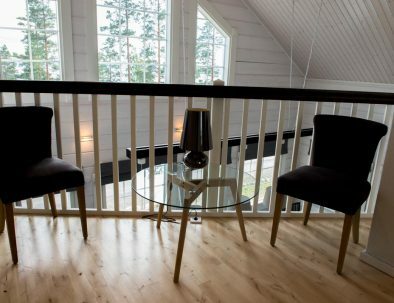 The construction of Lumitähti (190 sqm) was completed in April 2014. 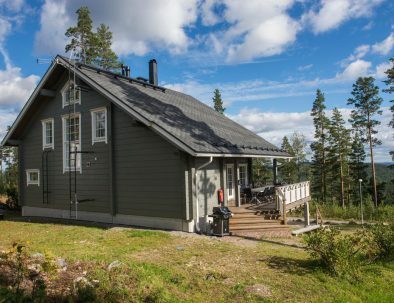 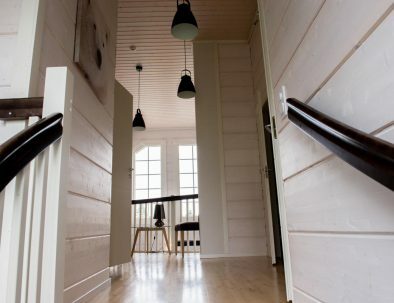 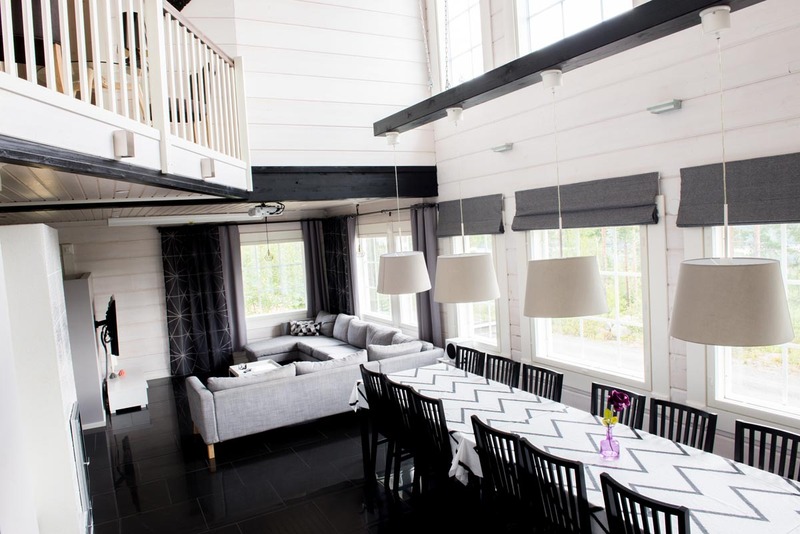 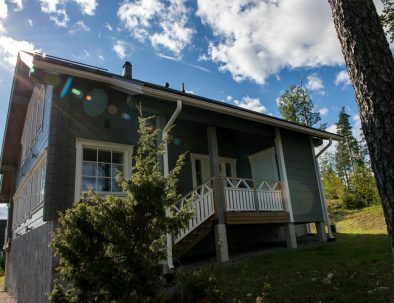 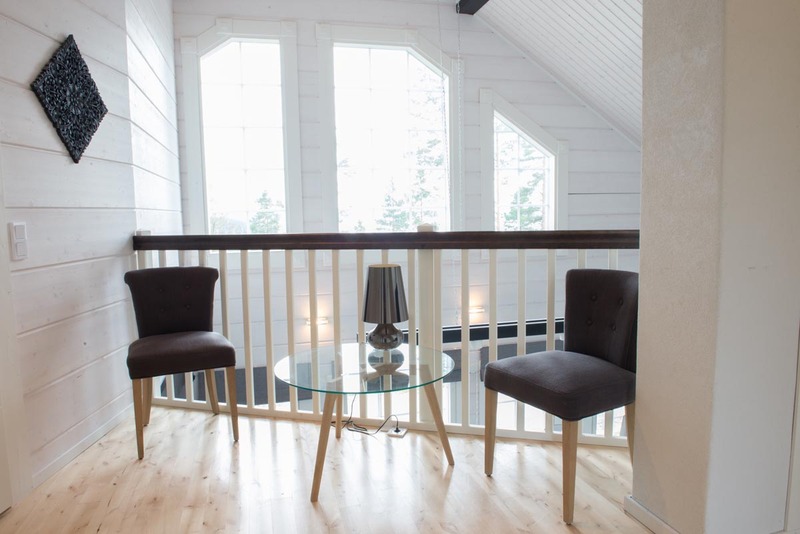 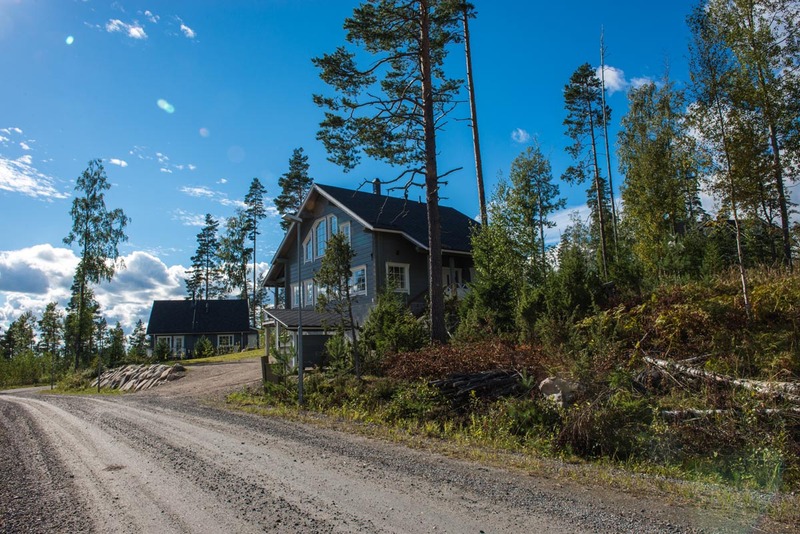 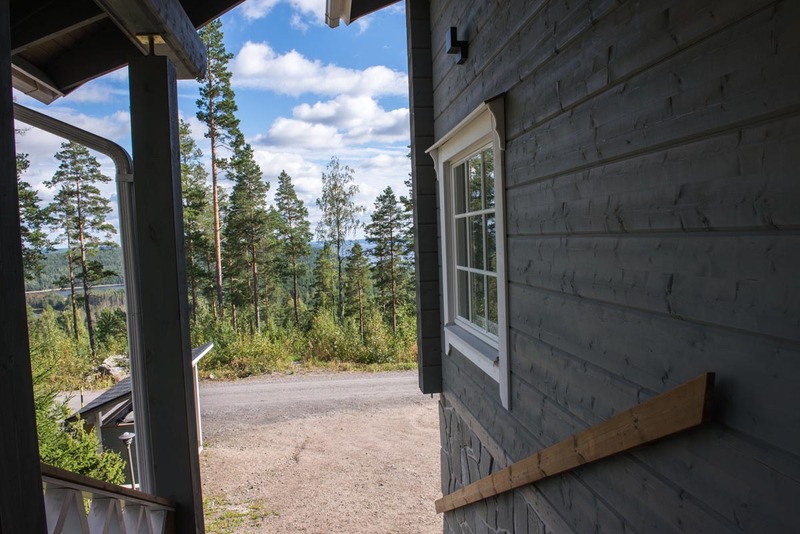 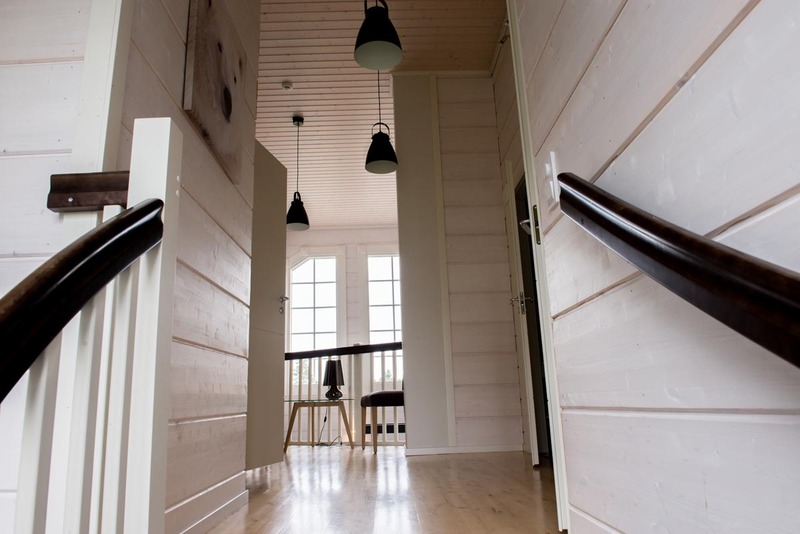 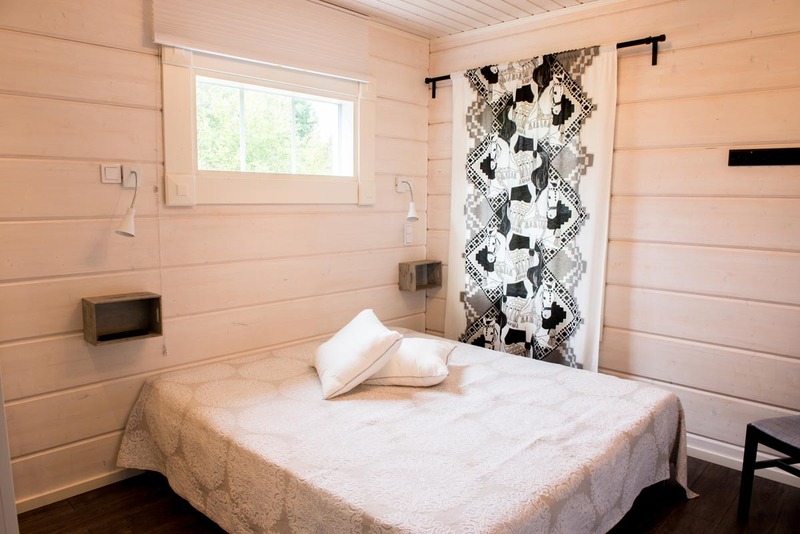 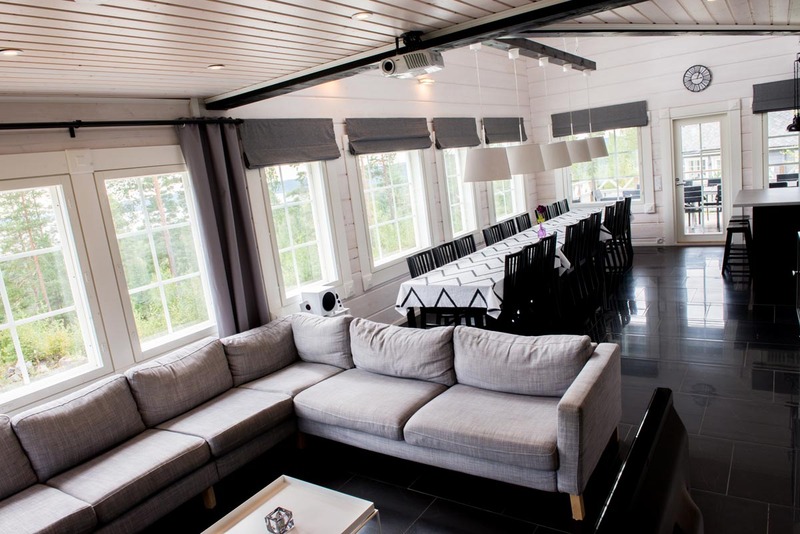 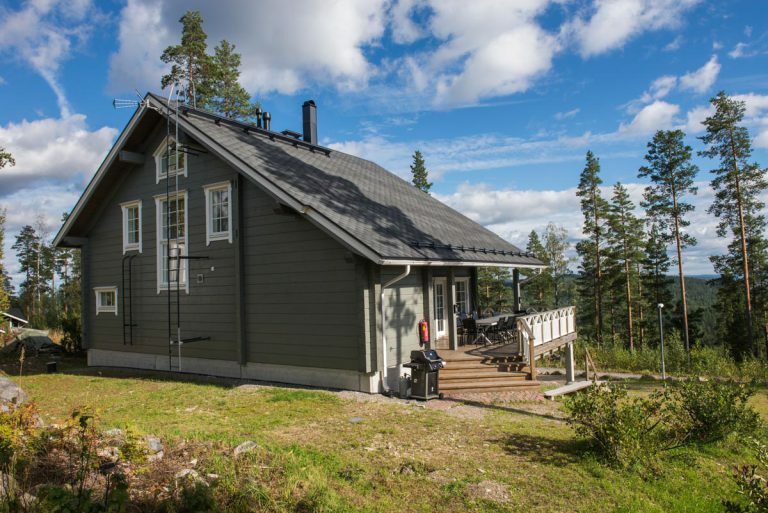 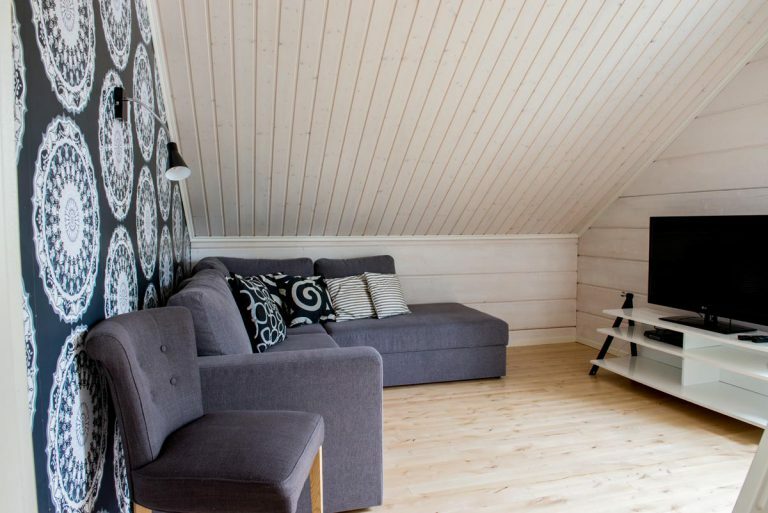 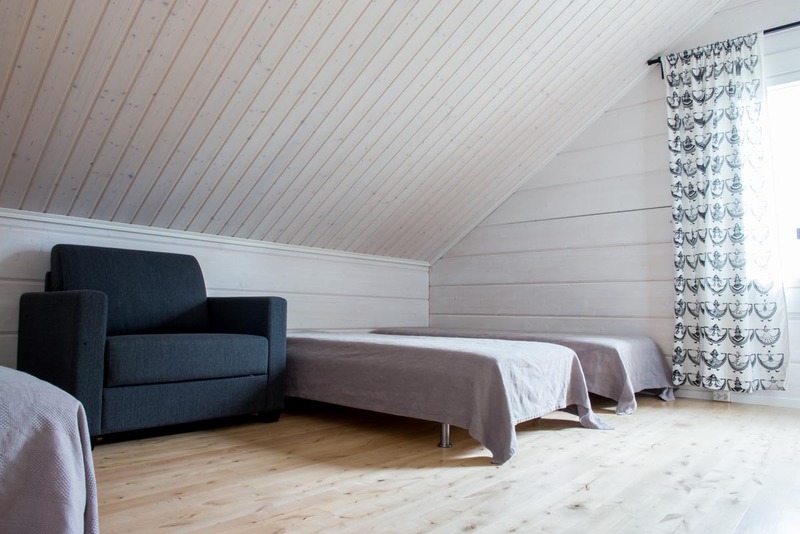 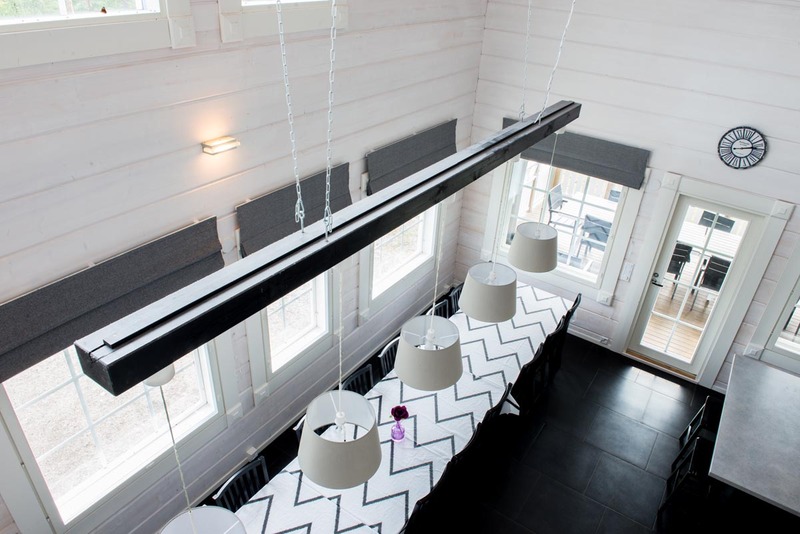 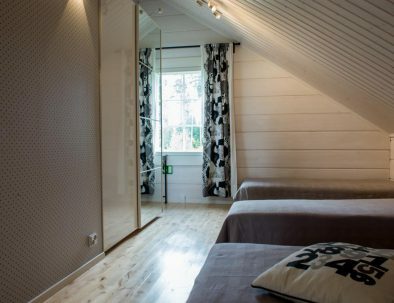 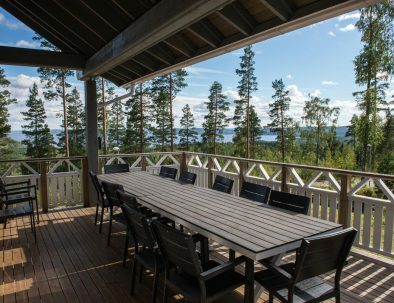 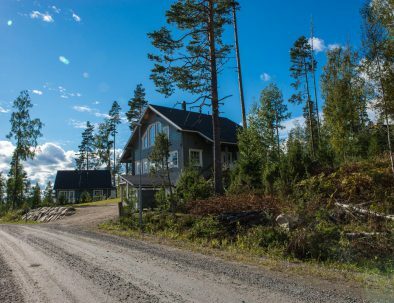 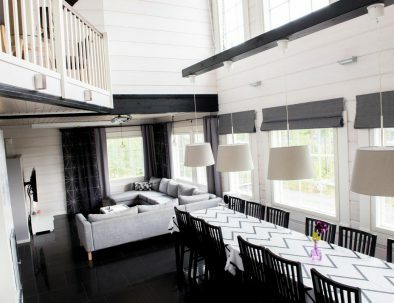 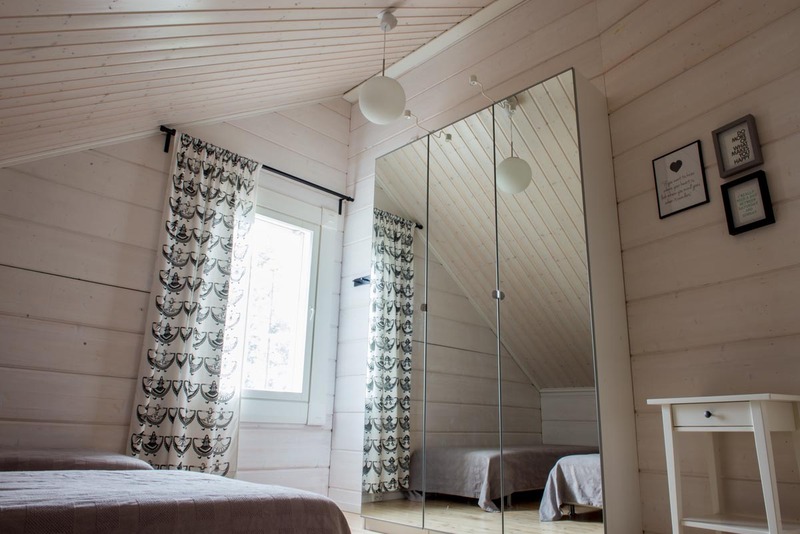 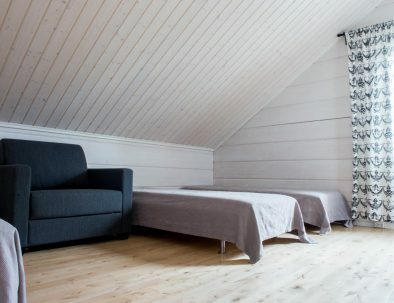 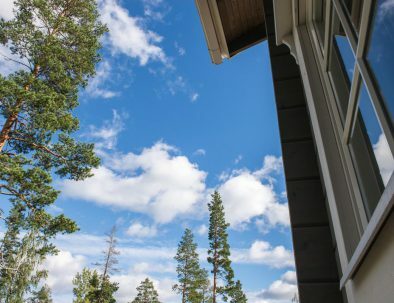 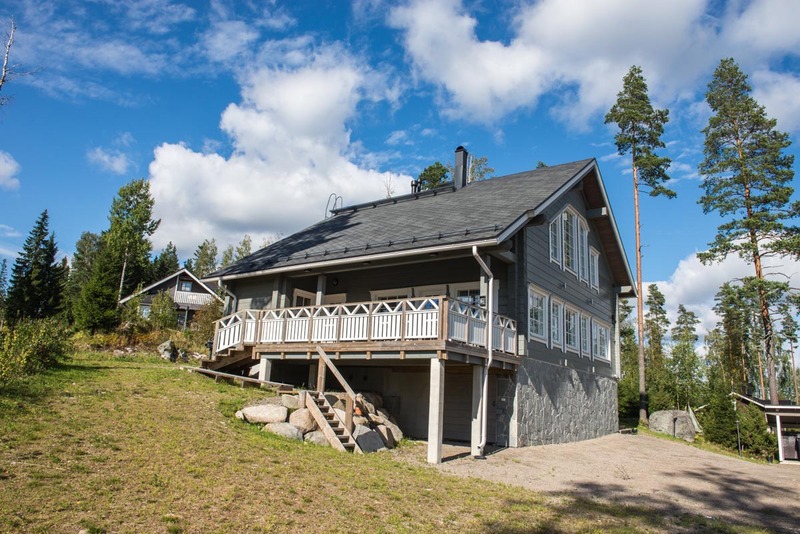 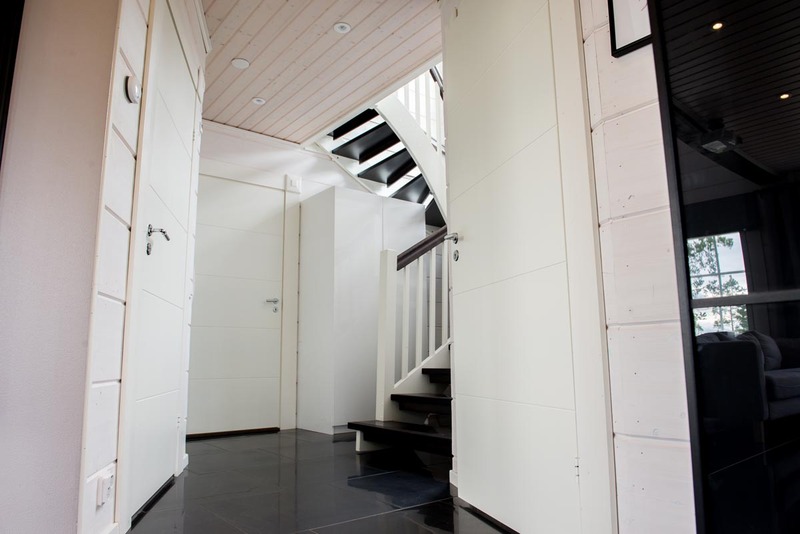 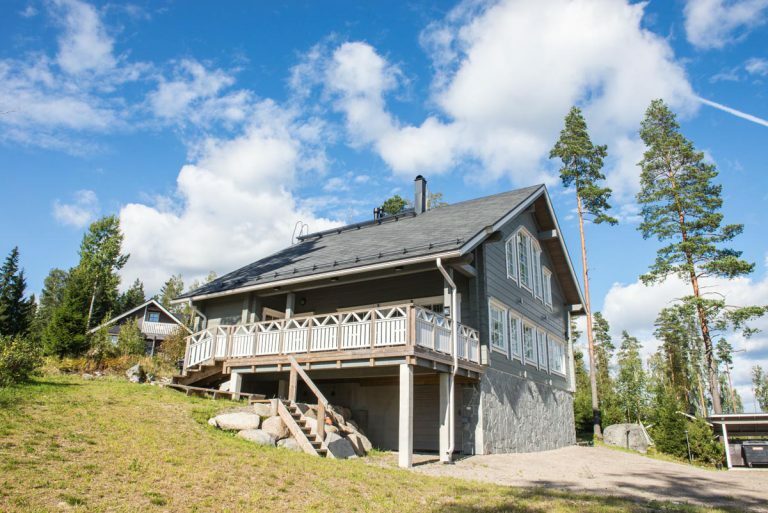 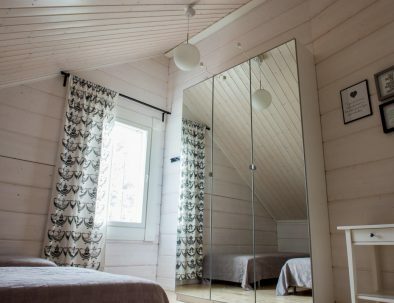 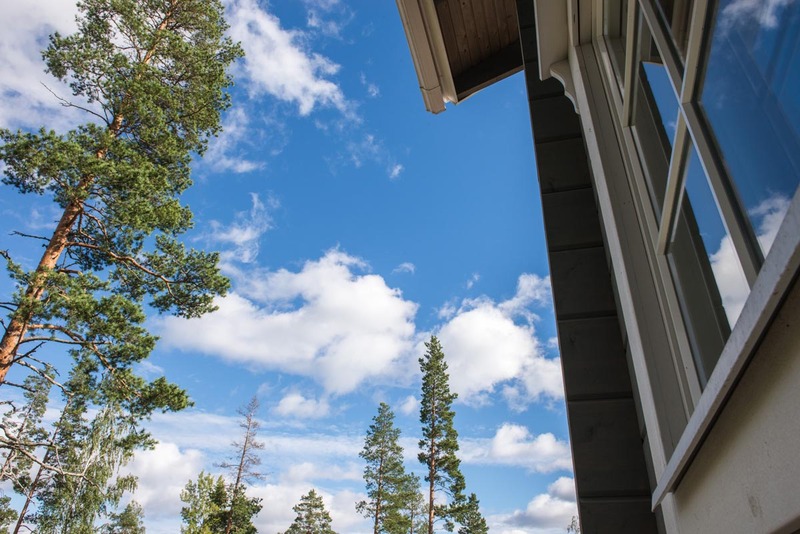 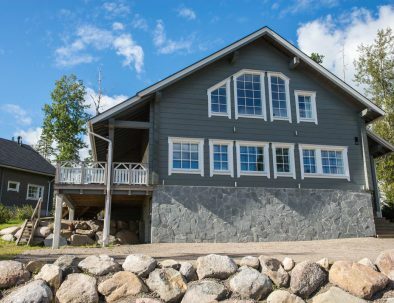 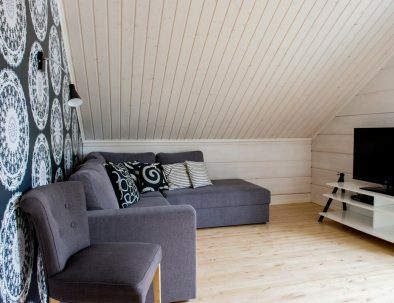 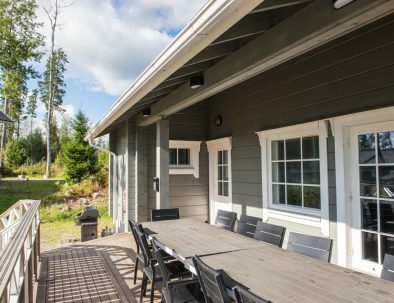 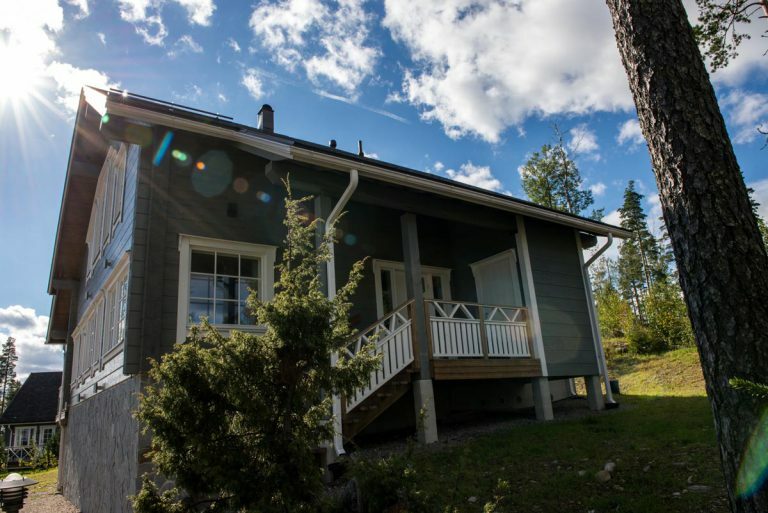 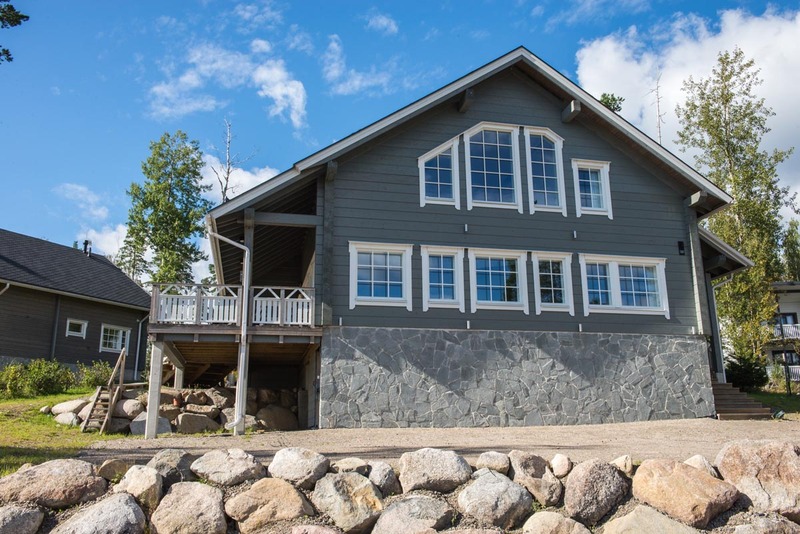 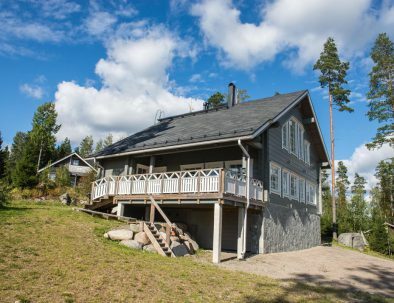 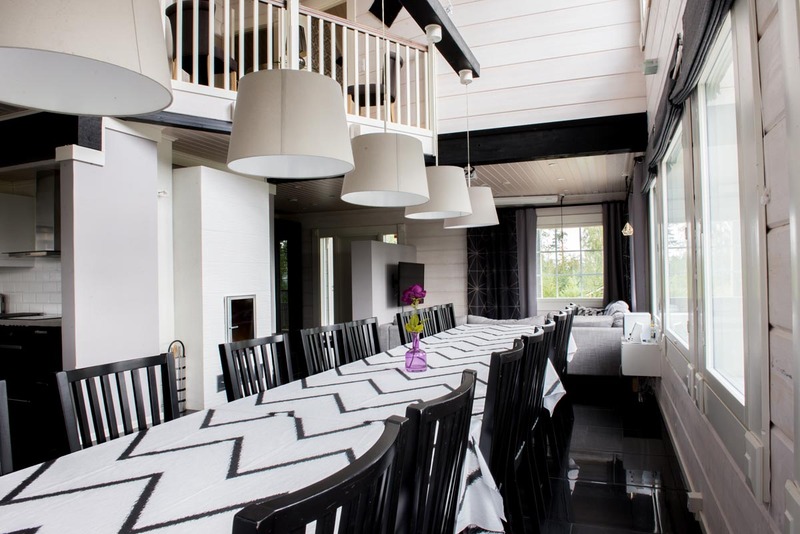 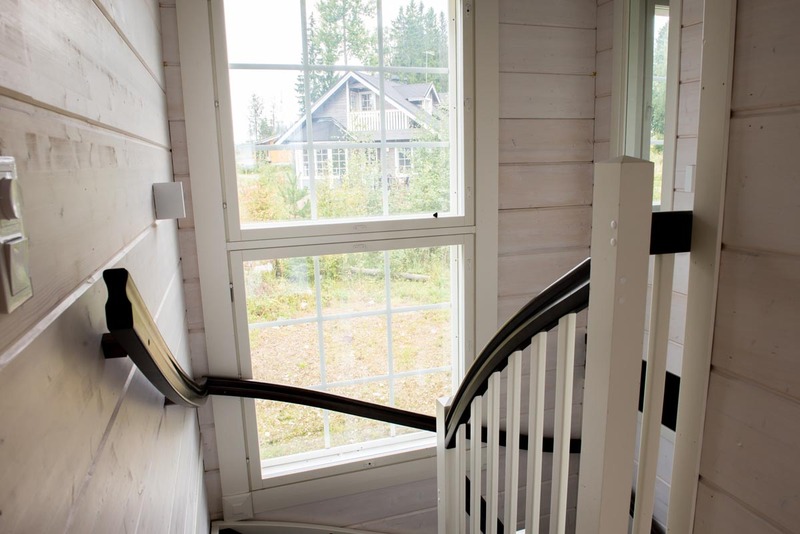 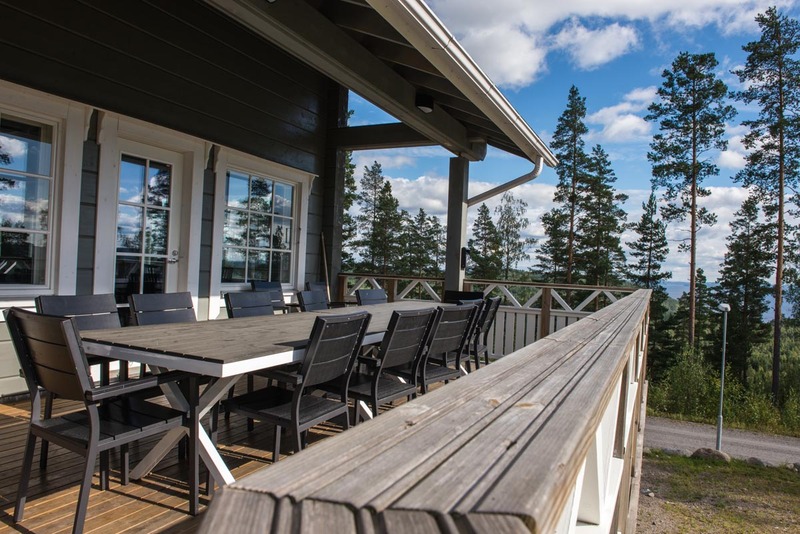 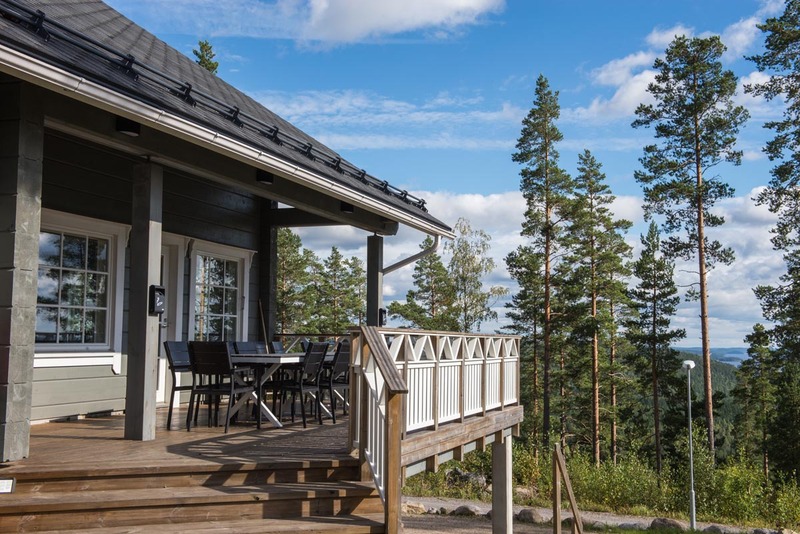 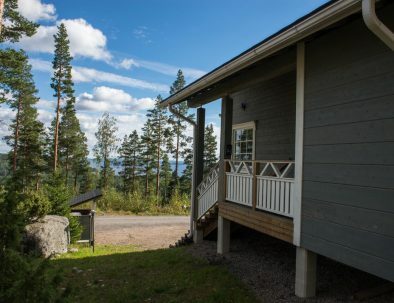 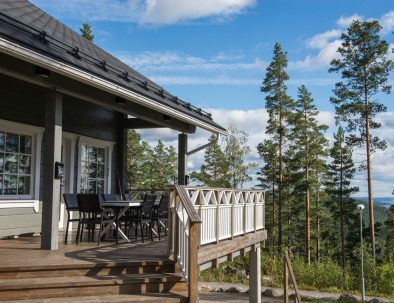 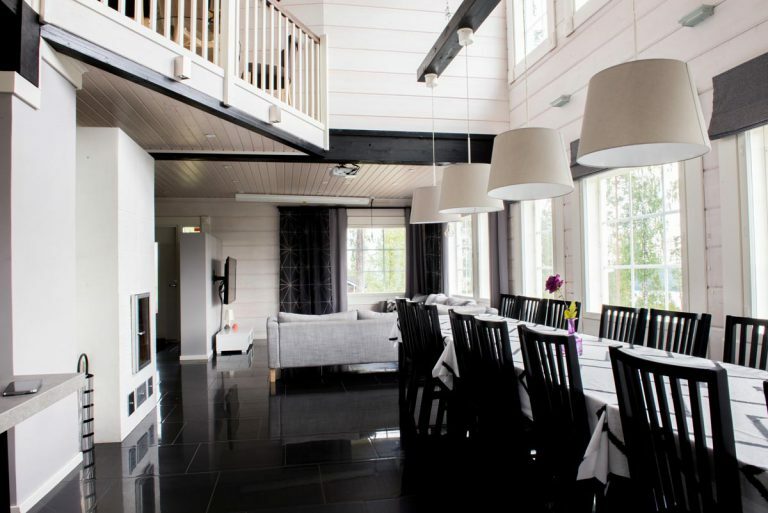 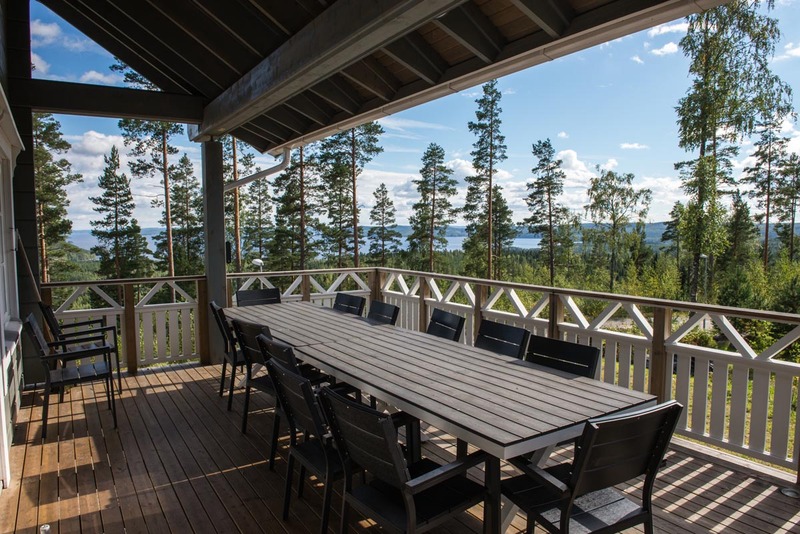 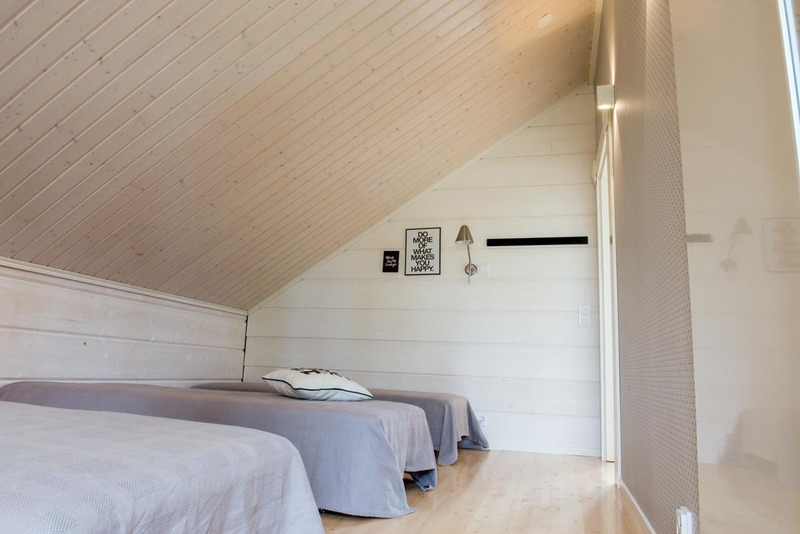 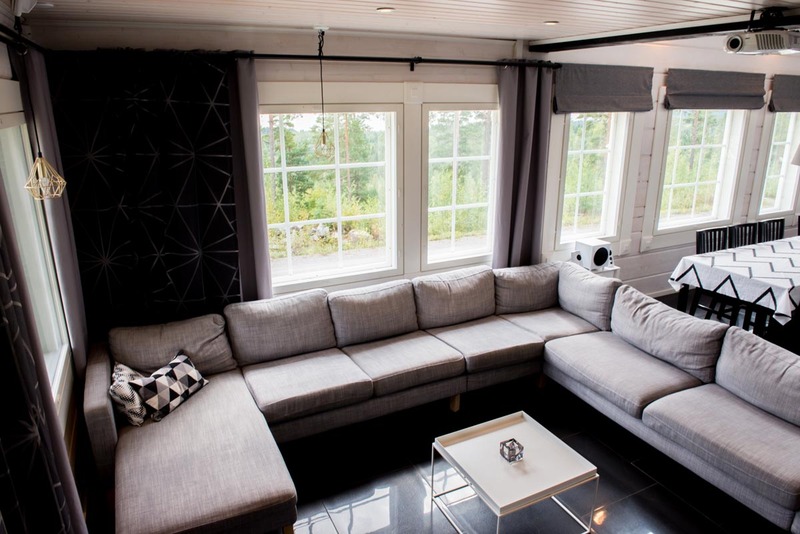 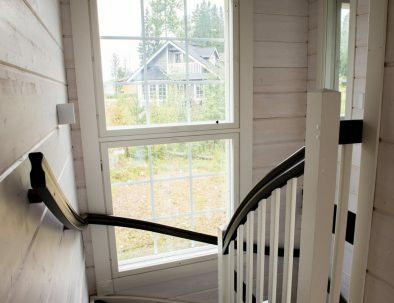 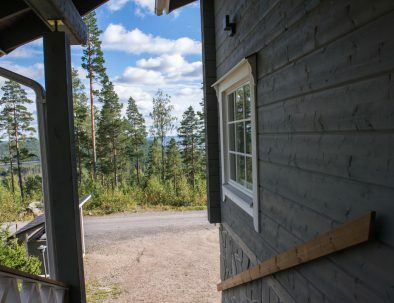 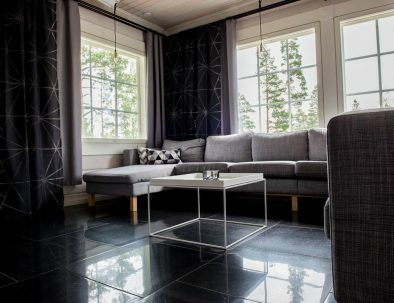 Lumitähti is a spacious high quality villa with an exquisite view to the lake Päijänne. 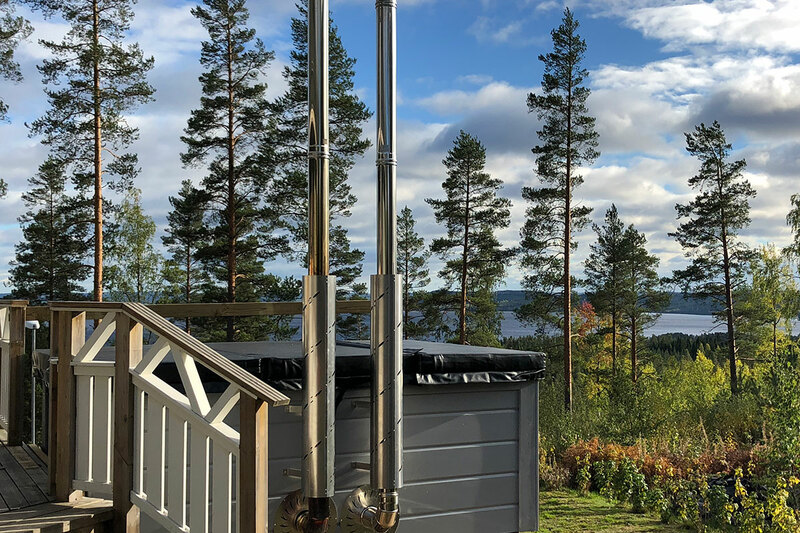 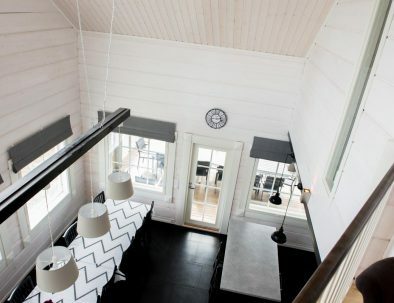 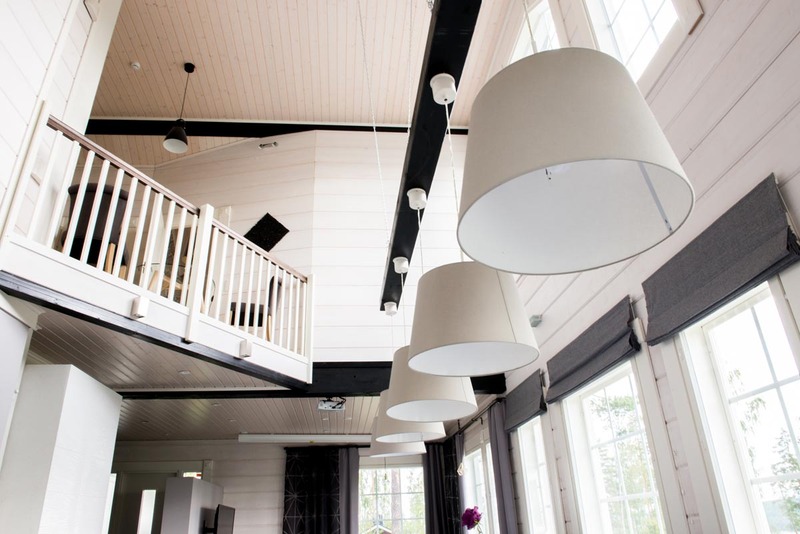 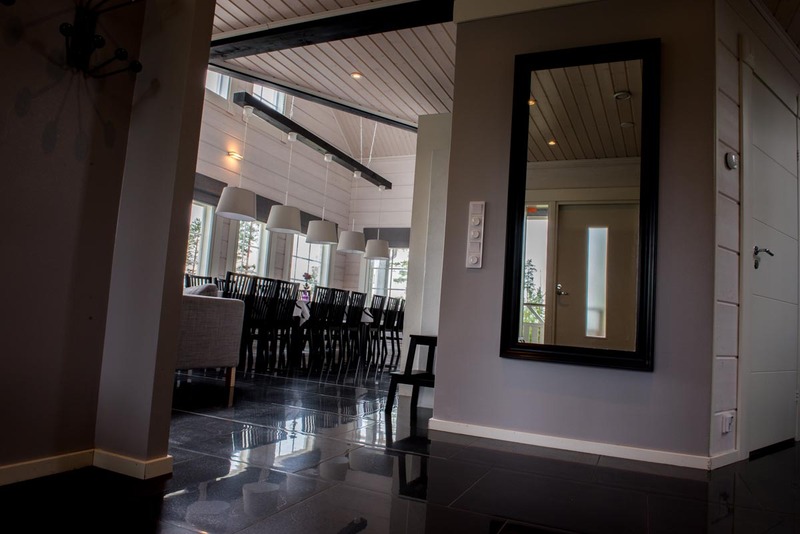 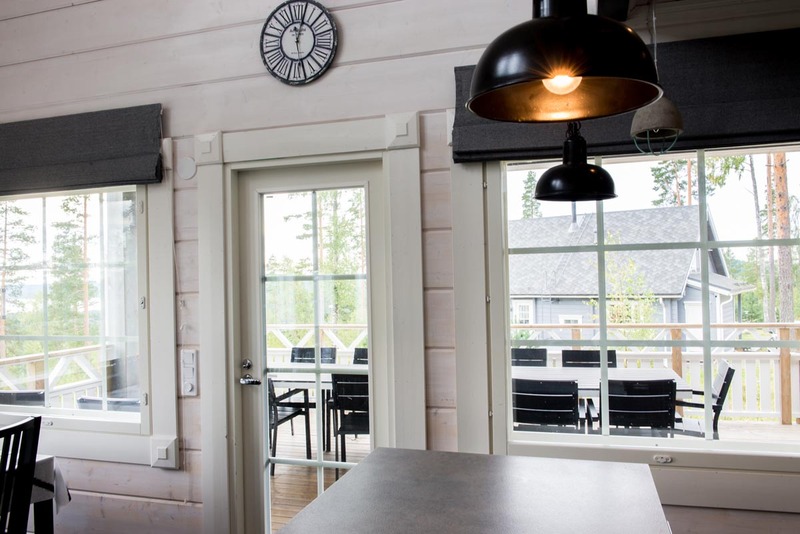 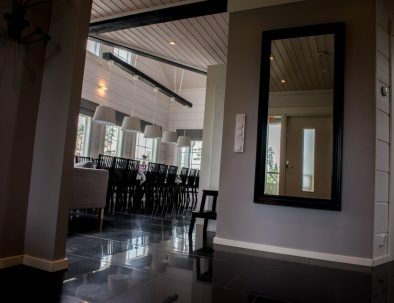 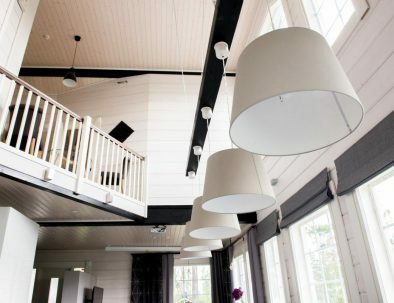 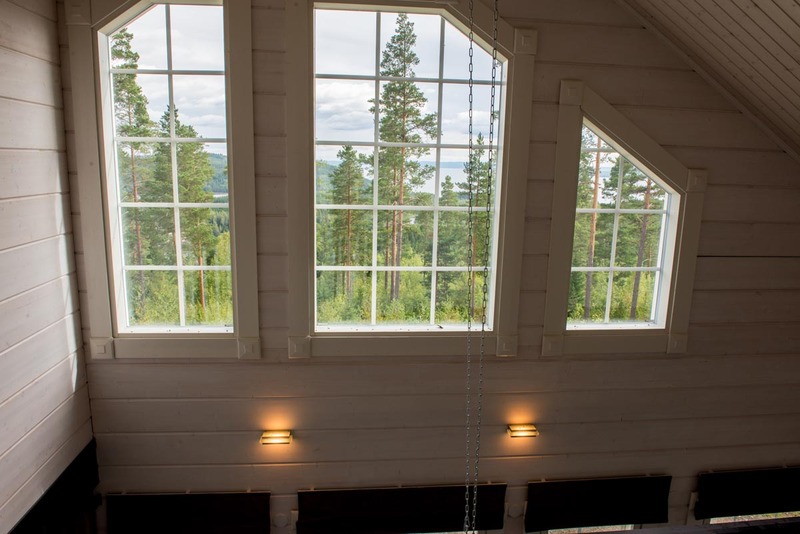 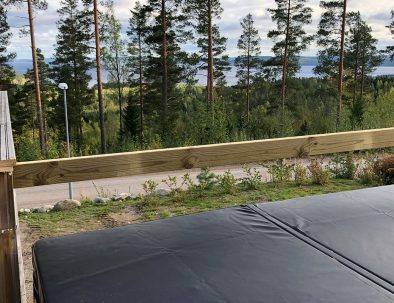 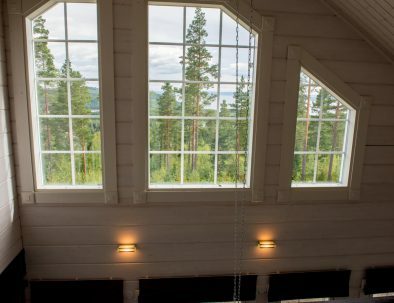 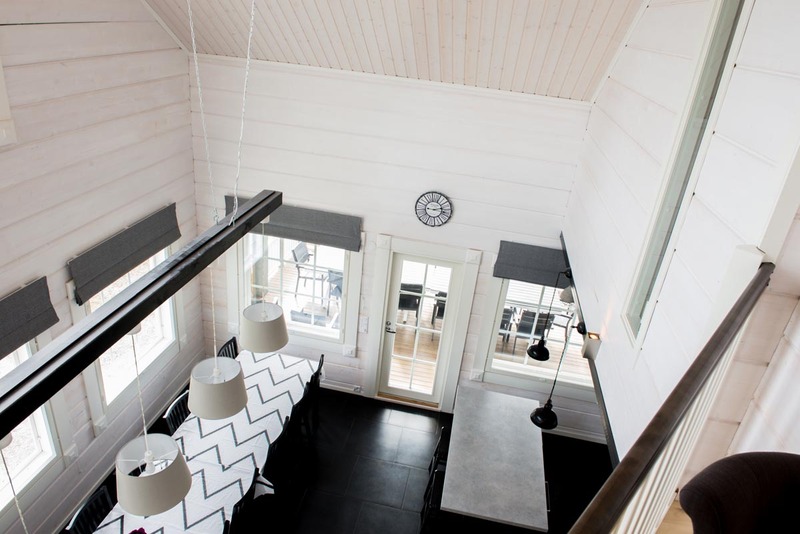 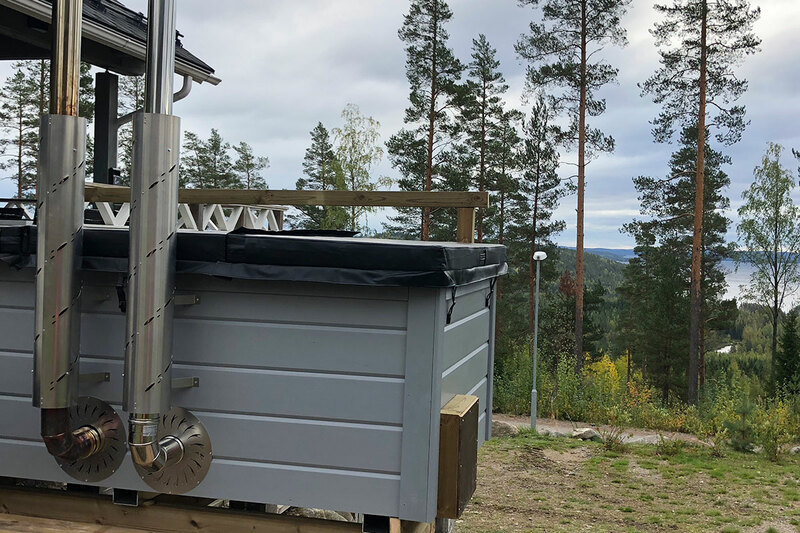 There is a six meter high picture window in the dining area, where you can enjoy the beautiful scenery of Muuratsalo and Päijänne, all the way up to 40km. 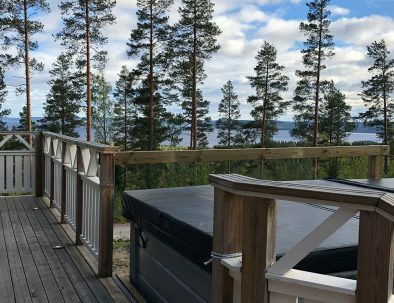 The view really is a piece of art that is different every single day of the year. 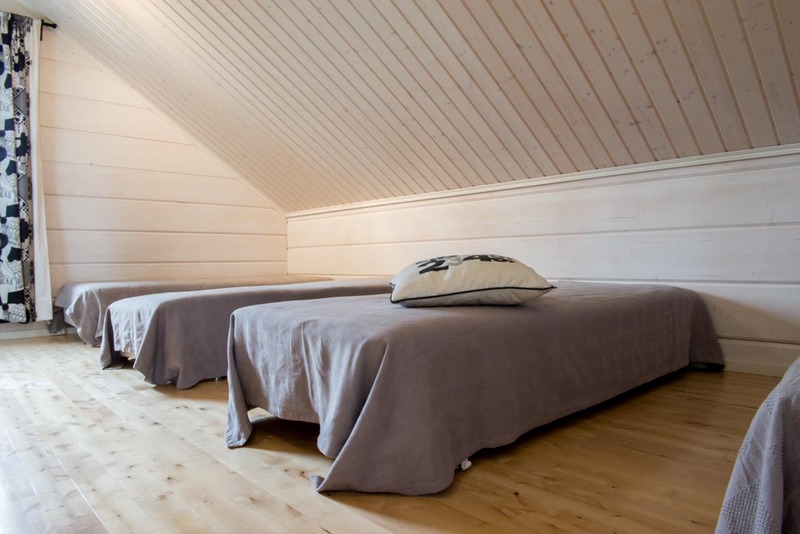 There are 5 bedrooms + an interesting small loft for two persons in the highest point of the villa. 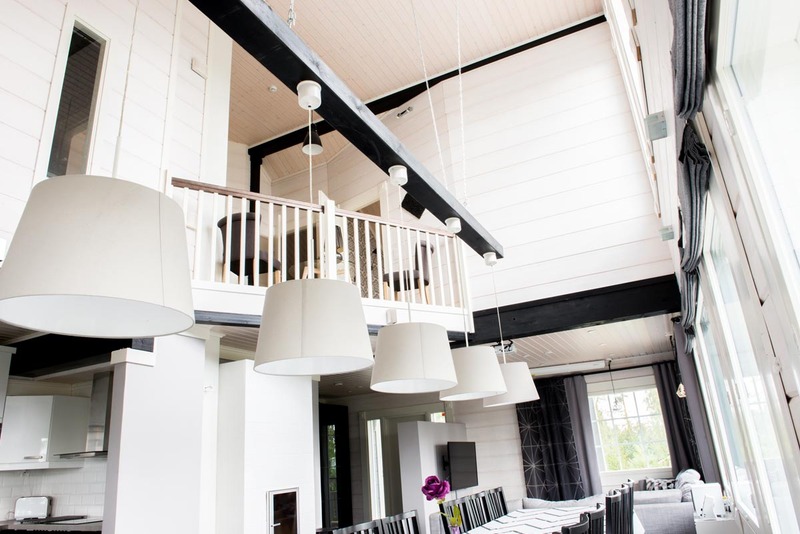 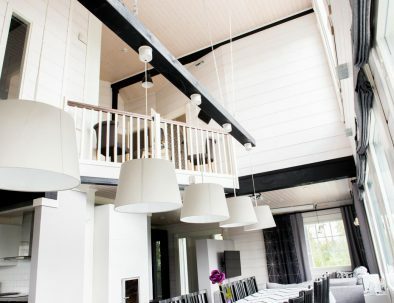 In Lumitähti you can organize an unforgettable party even for a big family or a group of friends. 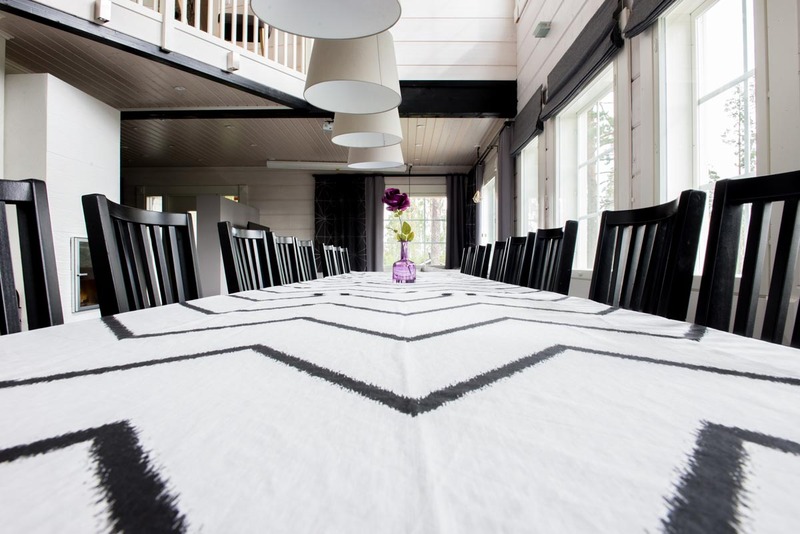 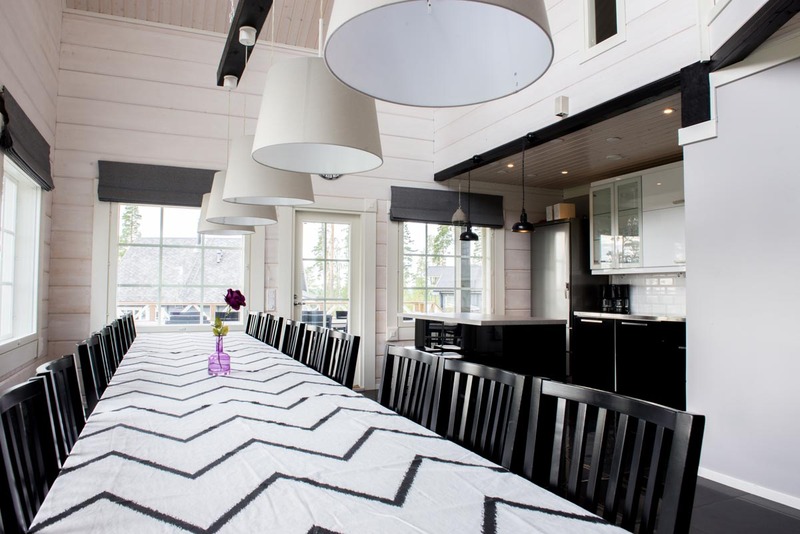 It is effortless to serve food for 18 persons on the big, over 5 meters long dining table. 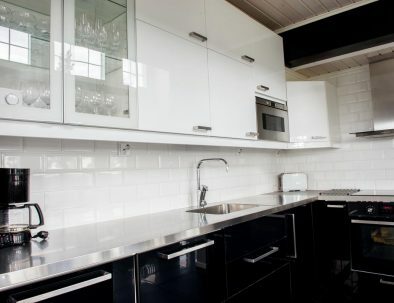 Having an island in the middle of the kitchen enables you to have even bigger serving. 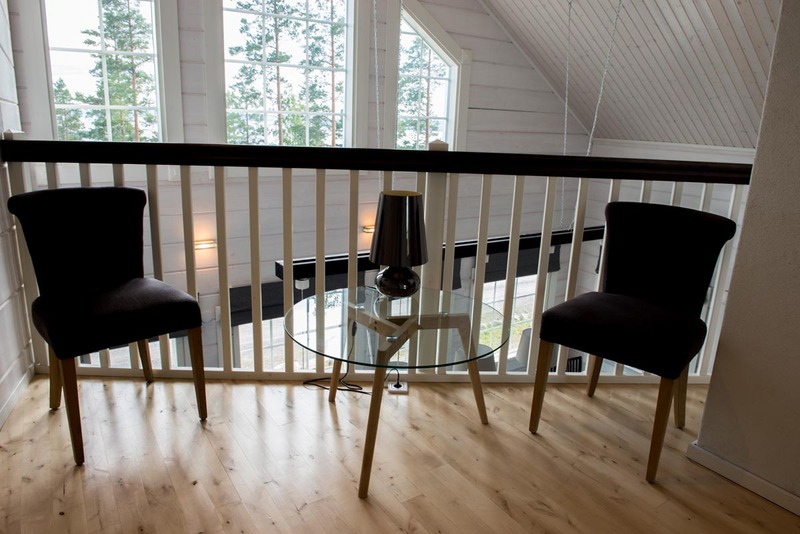 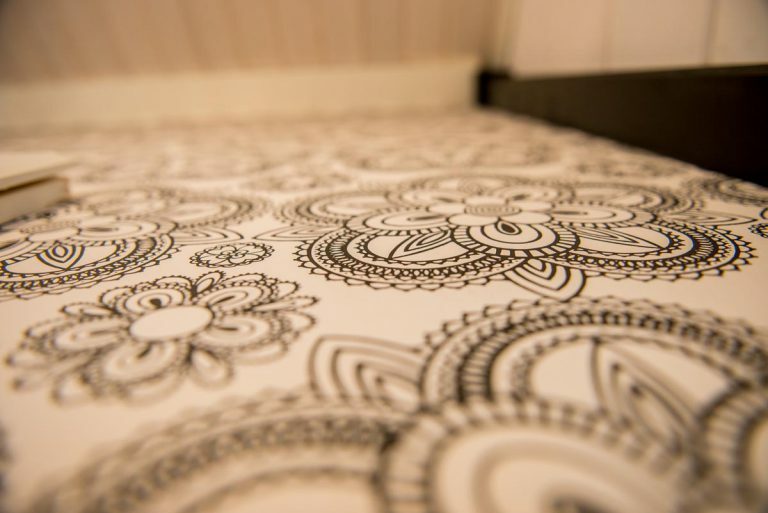 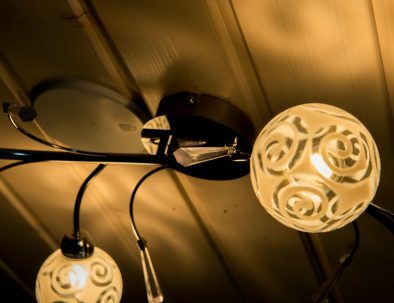 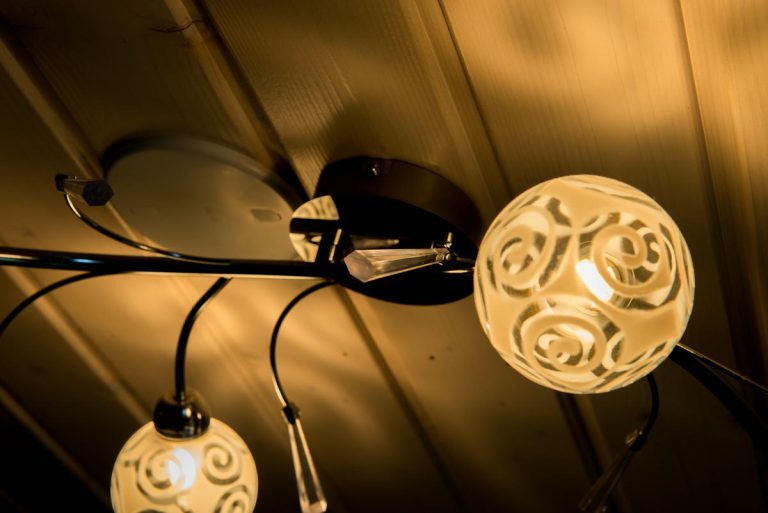 Lumitähti’s decoration is detailed, beautiful and spacious, creating an atmosphere where you can really relax above your everyday life. 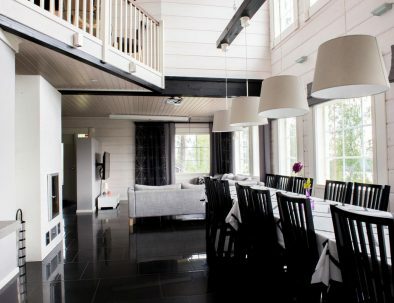 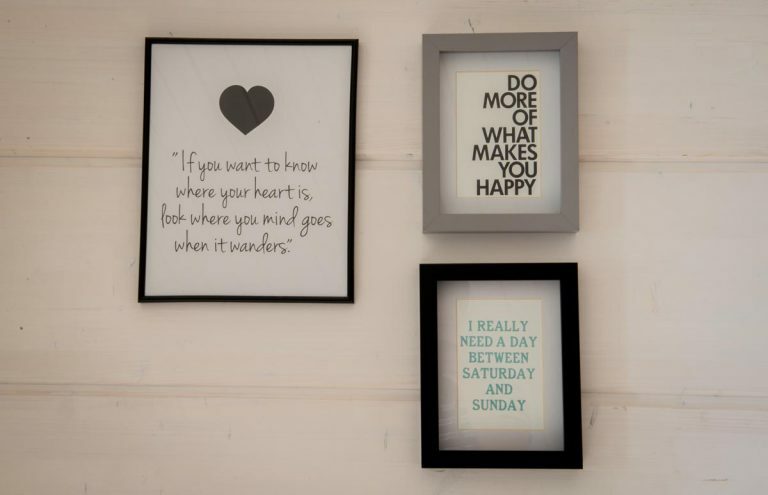 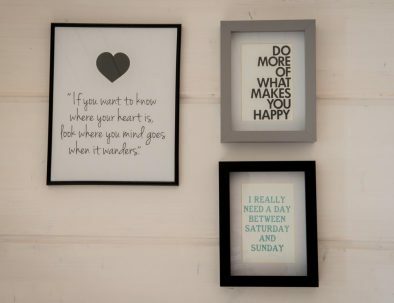 Lumitähti is modern, inviting, graficly stylish and charmingly luxurious. 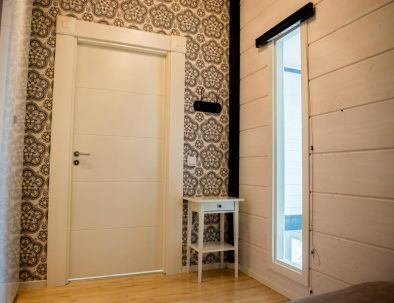 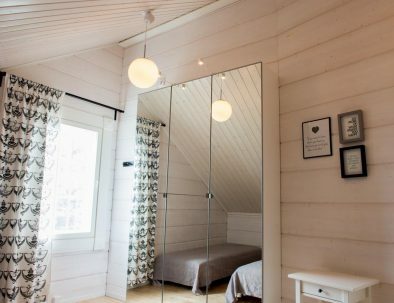 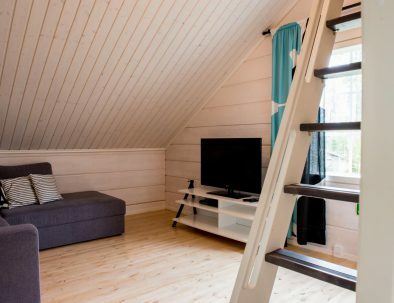 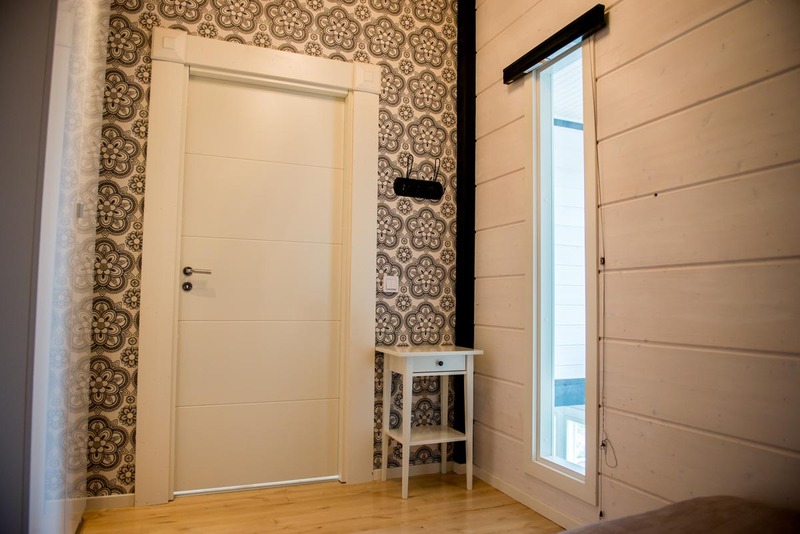 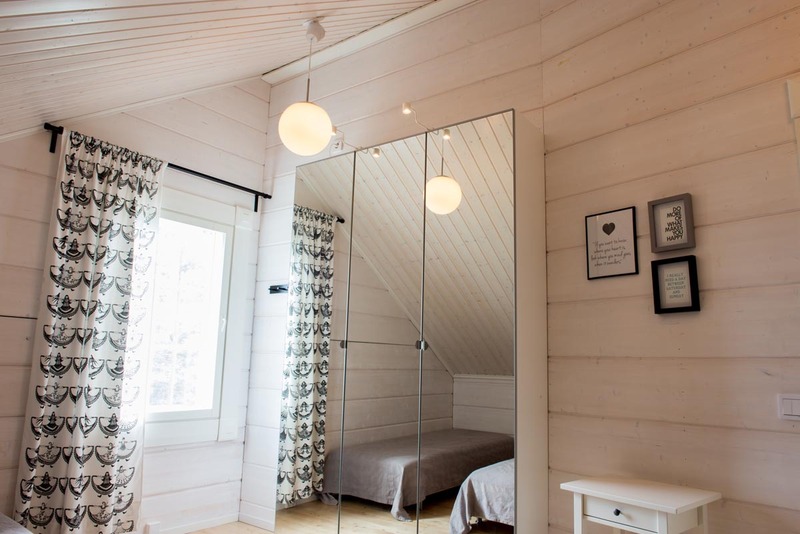 Lumitähti is a light real timber villa (laminated timber 240 x 270). 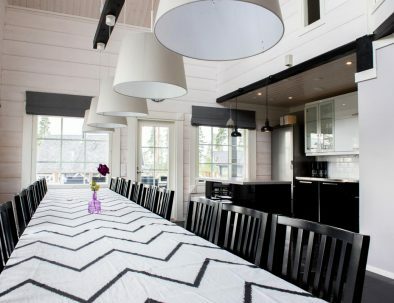 The colours of the deco are white, black, grey and silver. 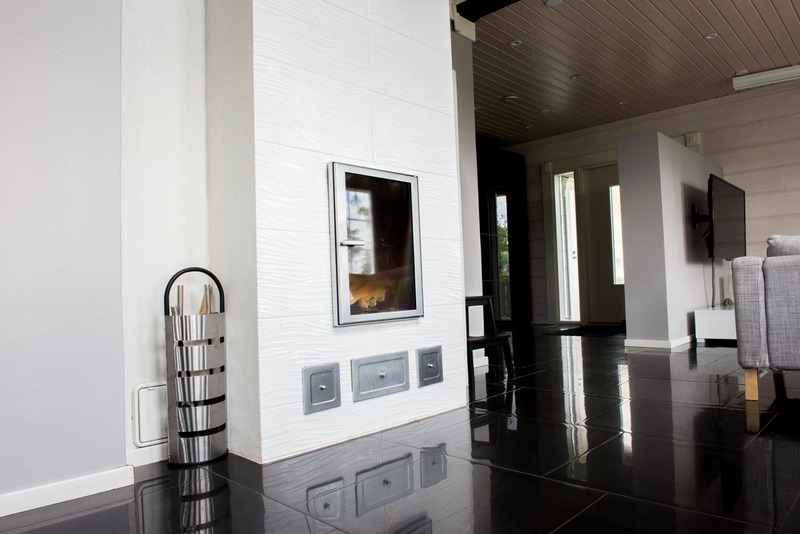 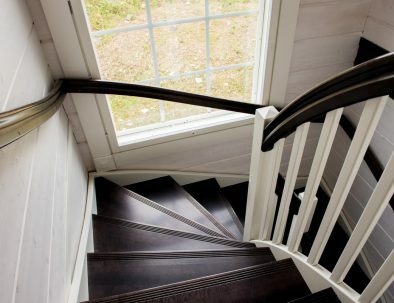 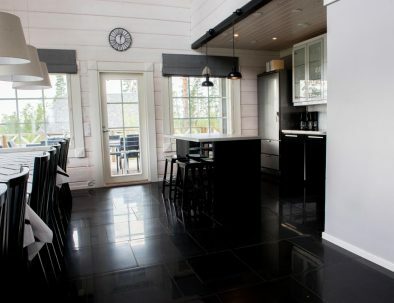 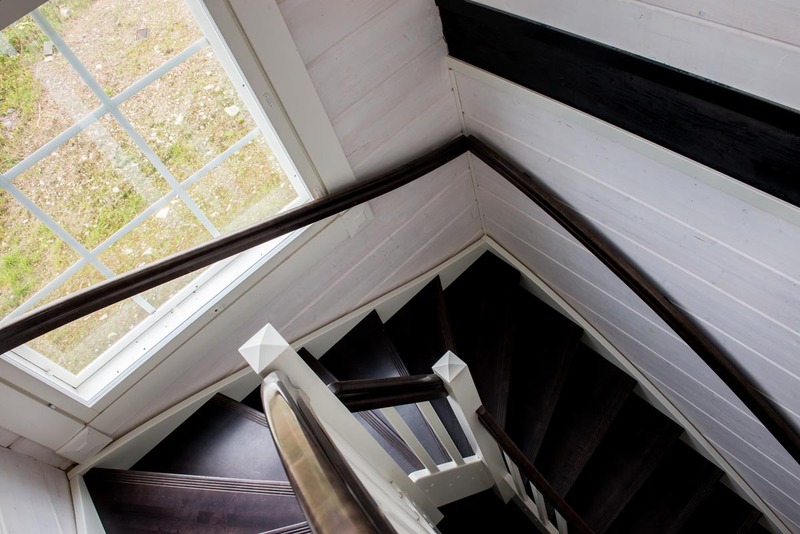 Downstairs there is a fairly big white and modern fireplace, and gorgeous, shiny black stone floor. 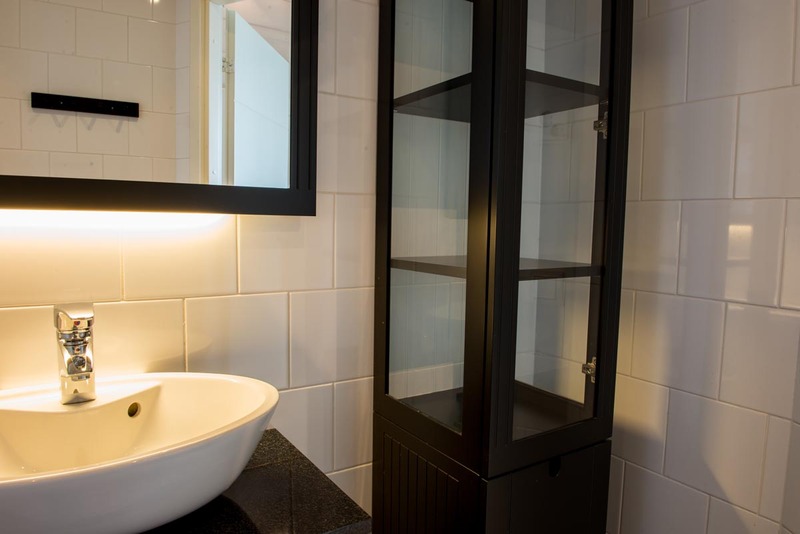 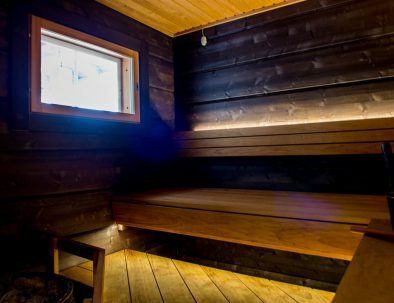 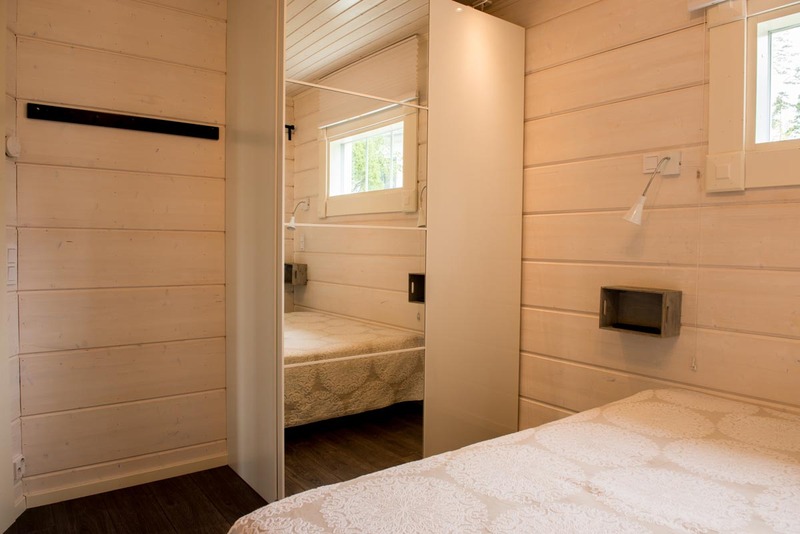 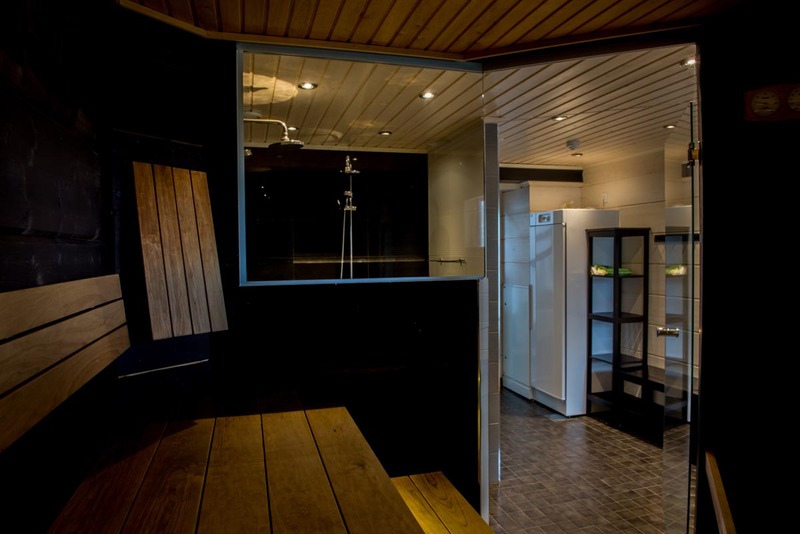 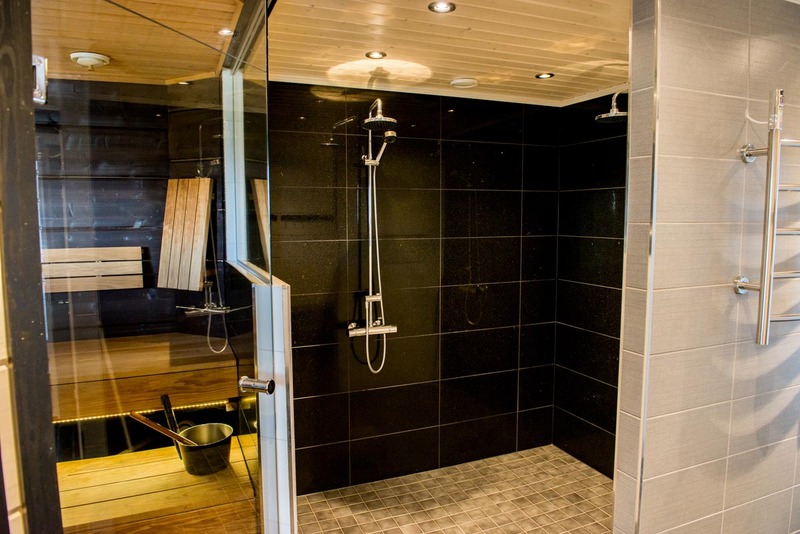 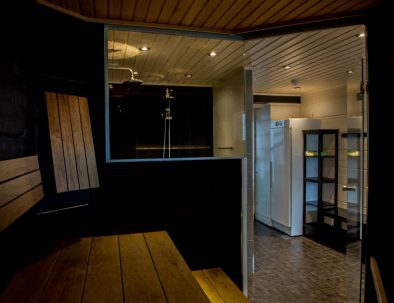 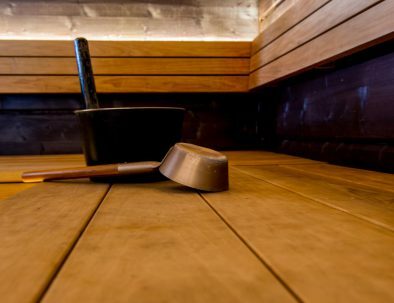 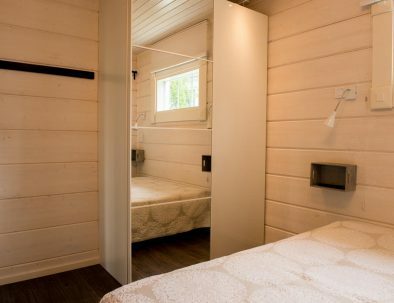 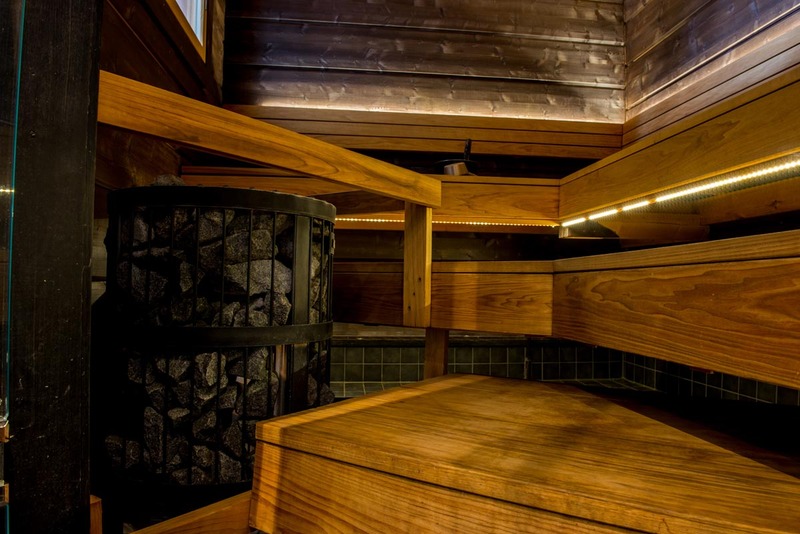 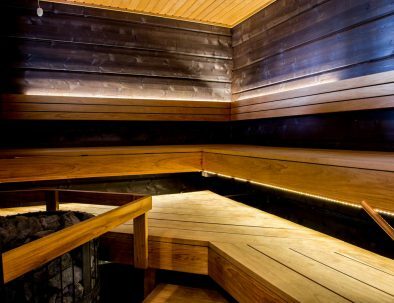 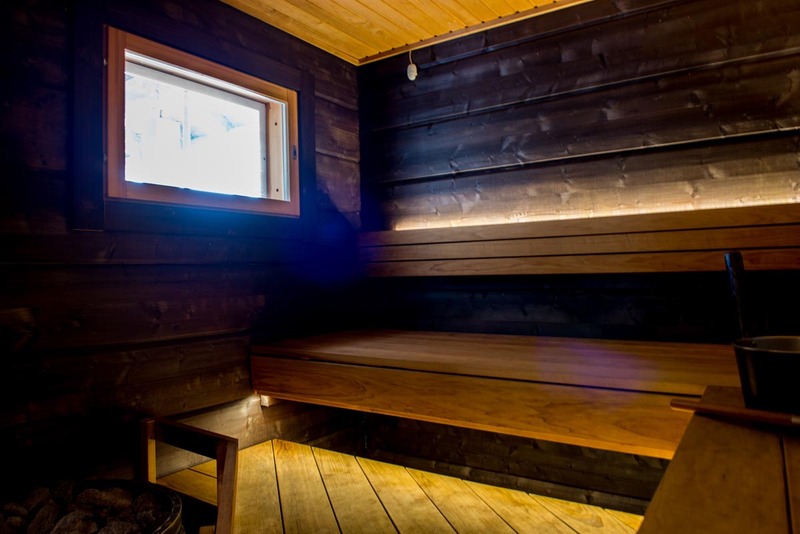 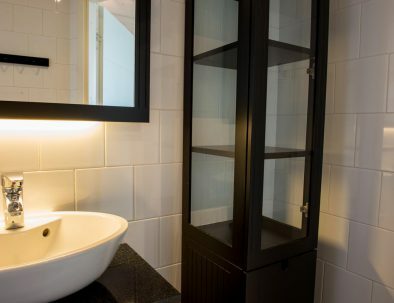 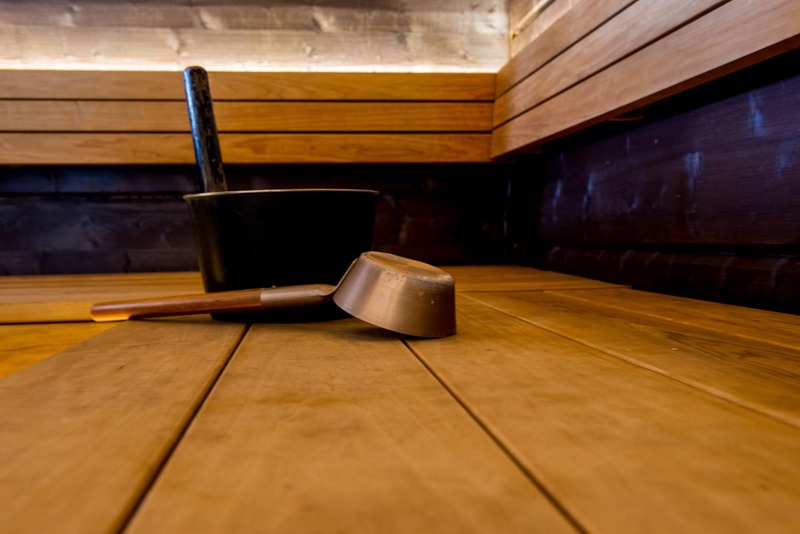 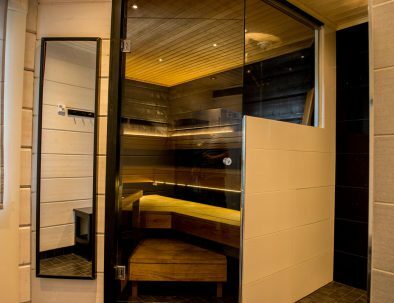 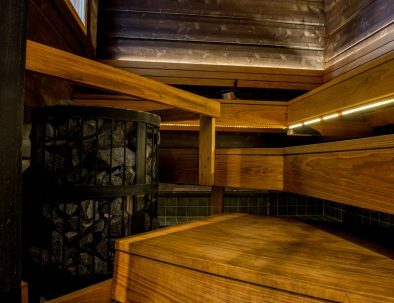 The sauna is spacious enough even for 8 persons, and the bathroom complements the luxurious style. 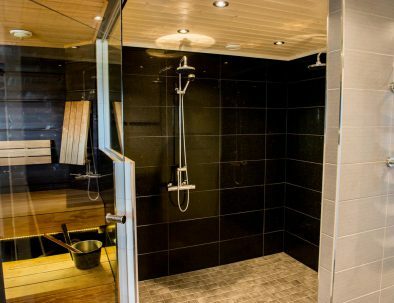 There are 3 toilets in the villa. 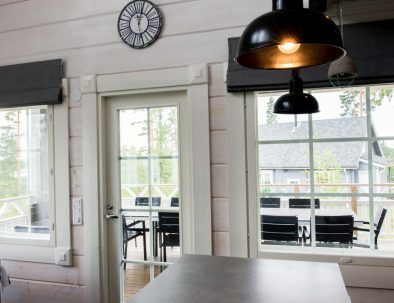 You can get to the patio straight from the kitchen and the dressing room. 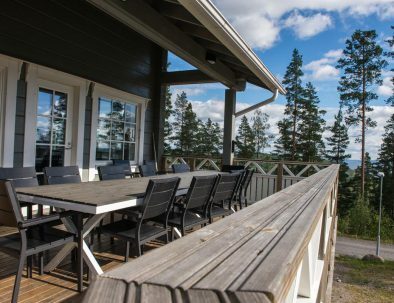 On the patio there is space for 18 persons to have food in the summertime. 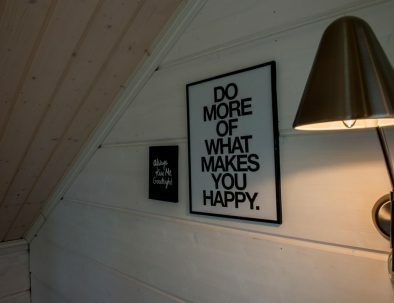 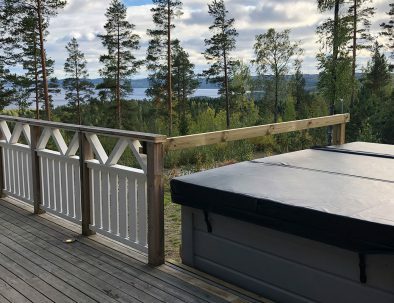 There is a wireless internet connection in the villa. 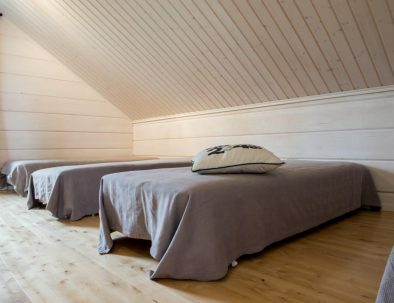 There are 5 bedrooms + an interesting small loft for two persons in the highest point of the villa. 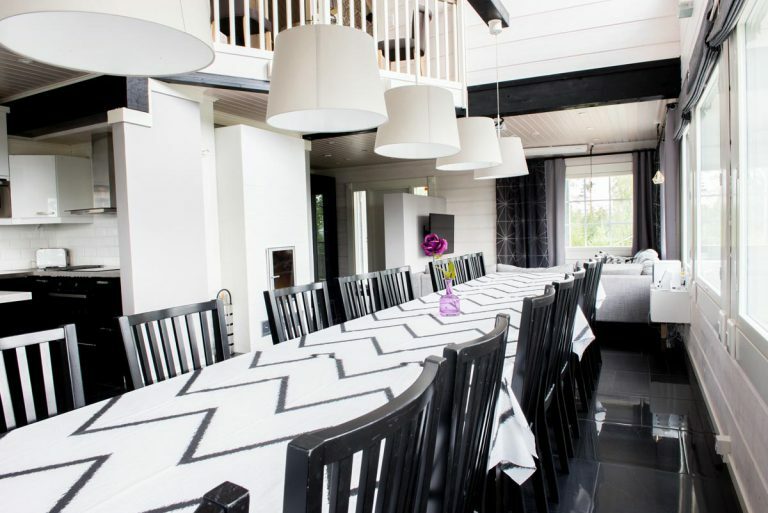 In Lumitähti you can organize an unforgettable party even for a big family or a group of friends. 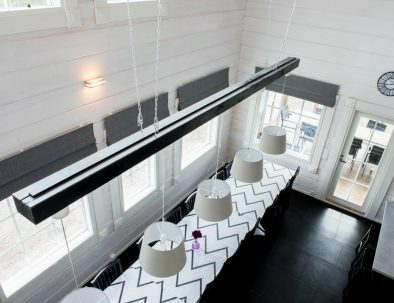 It is effortless to serve food for 18 persons on the big, over 5 meters long dining table. 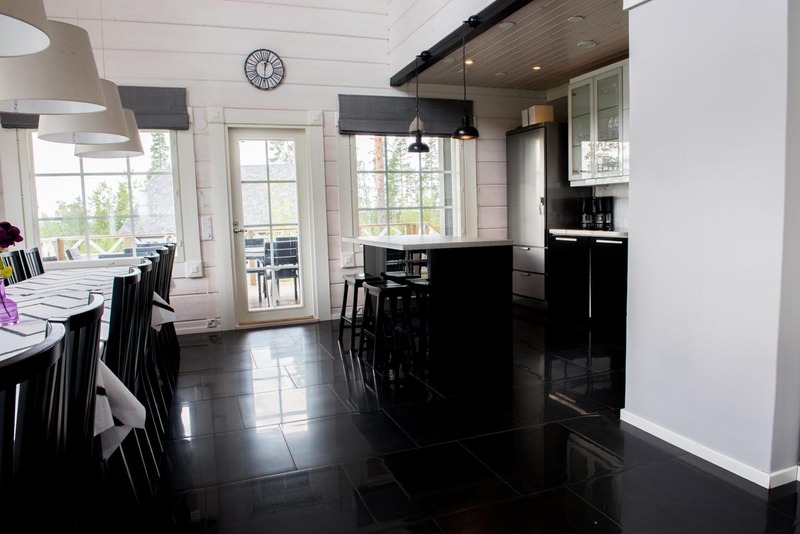 Having an island in the middle of the kitchen enables you to have even bigger serving. 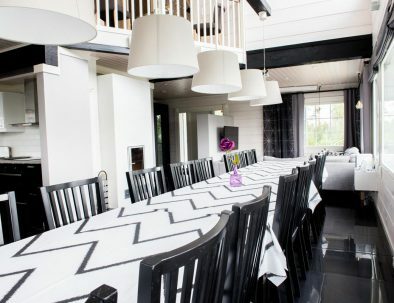 Lumitähti is suitable also for companies’ meeting purposes. 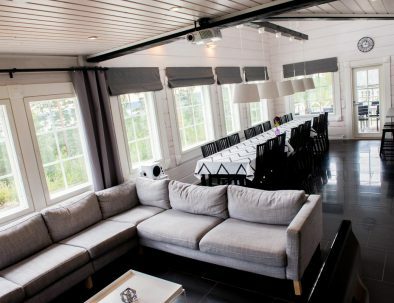 There is a lot of open area in the villa, and the av-equipment (projector, screen and 55″ smart-TV) makes it easy to organize meetings. 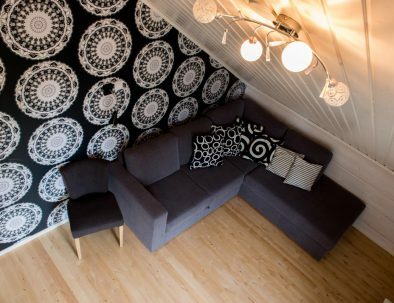 Downstairs: livingroom with a big corner sofa, fireplace, 55″ Smart-TV with an internet connection, Blu-ray player, video projector and screen. 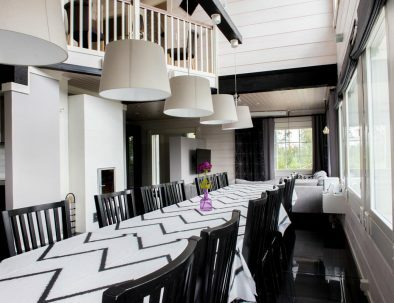 Dining area and table for 18 persons. 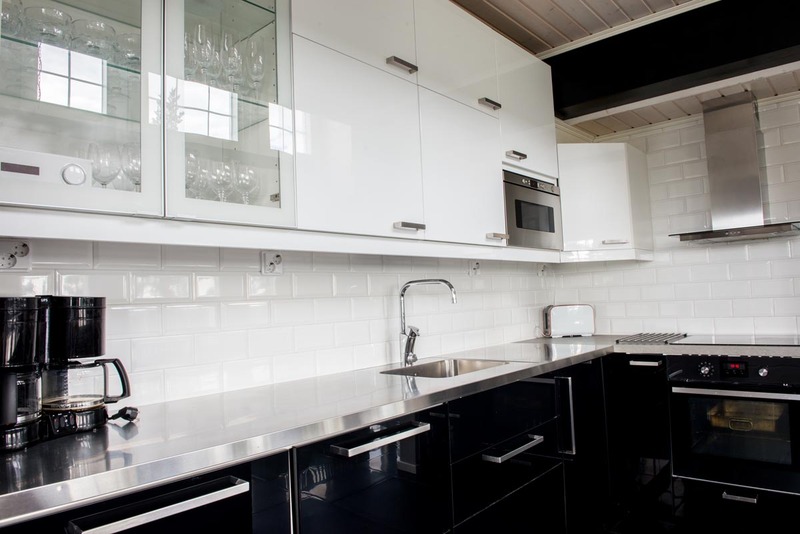 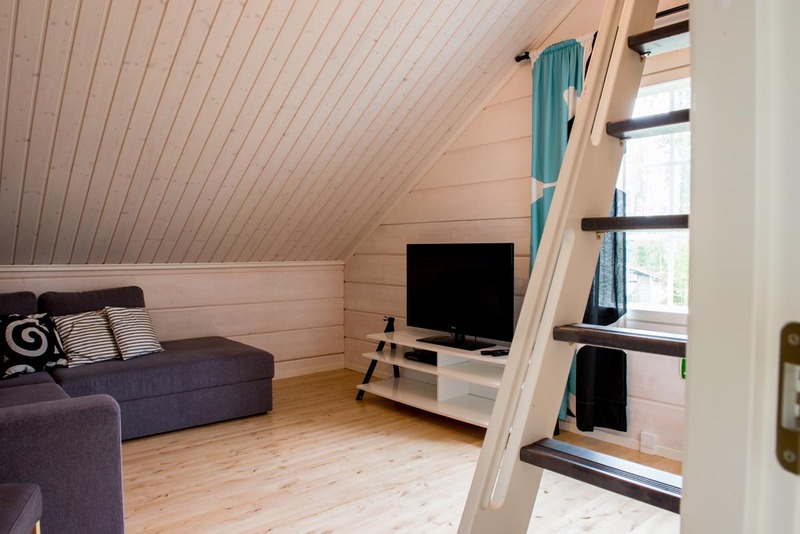 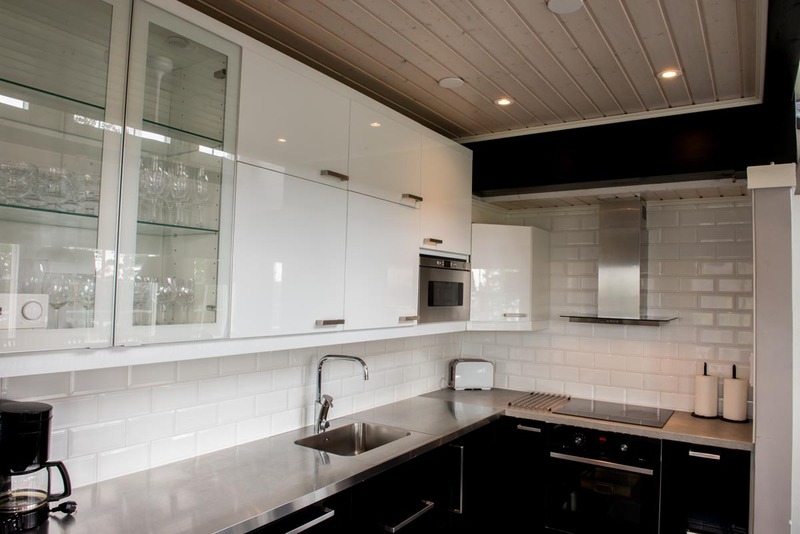 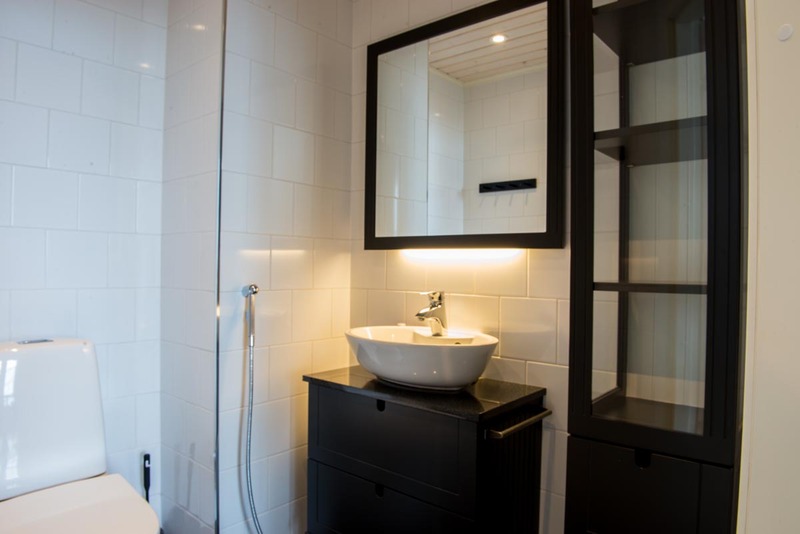 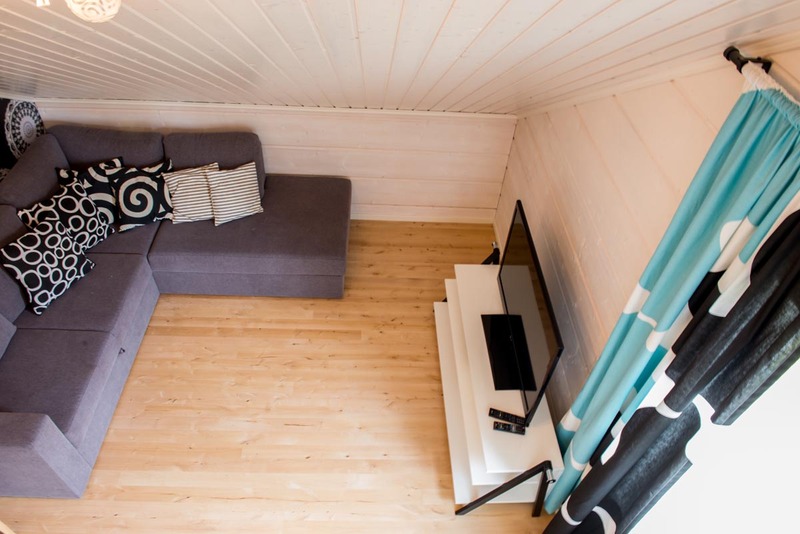 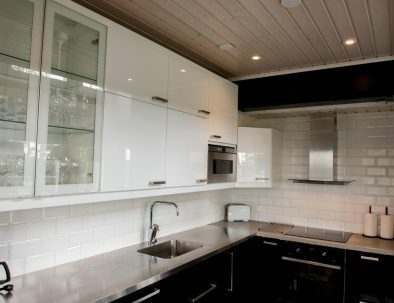 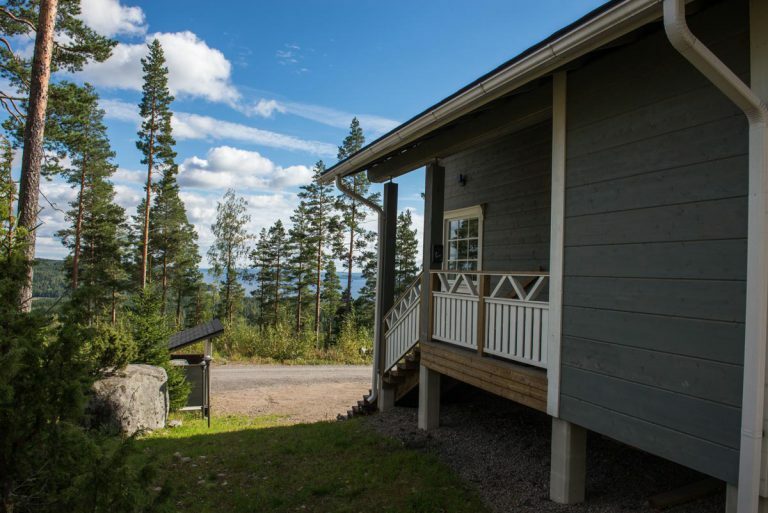 Well equipped kitchen, one bedroom with a double bed and 42″ TV, sauna and bathroom, laundry machine, drying cabinet, 2 toilets. 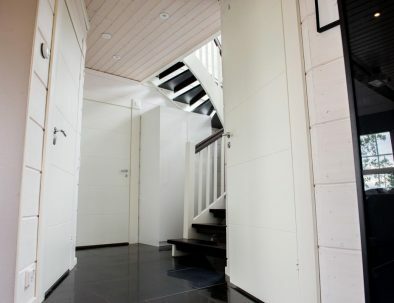 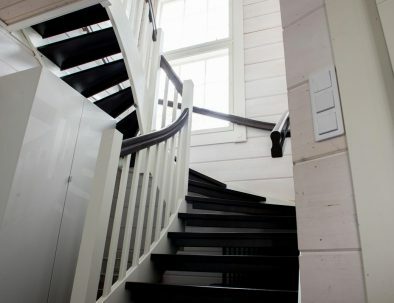 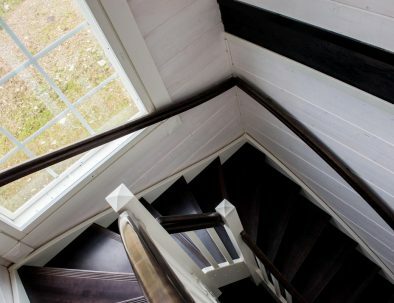 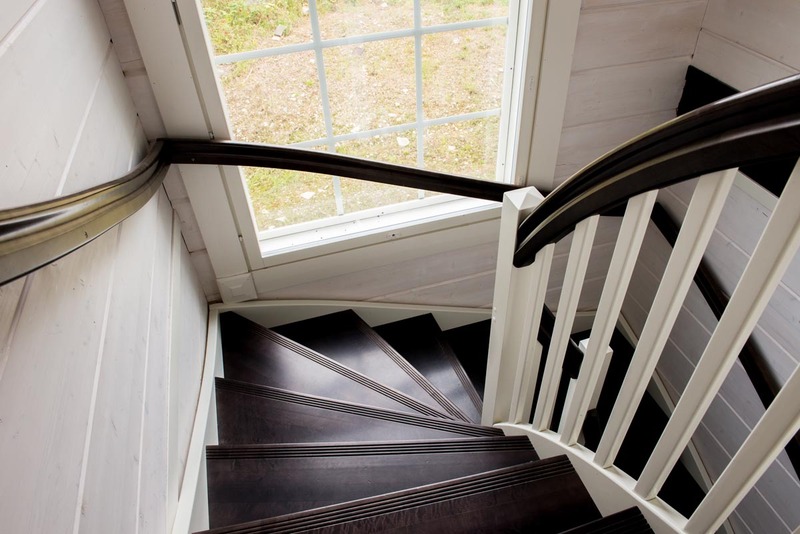 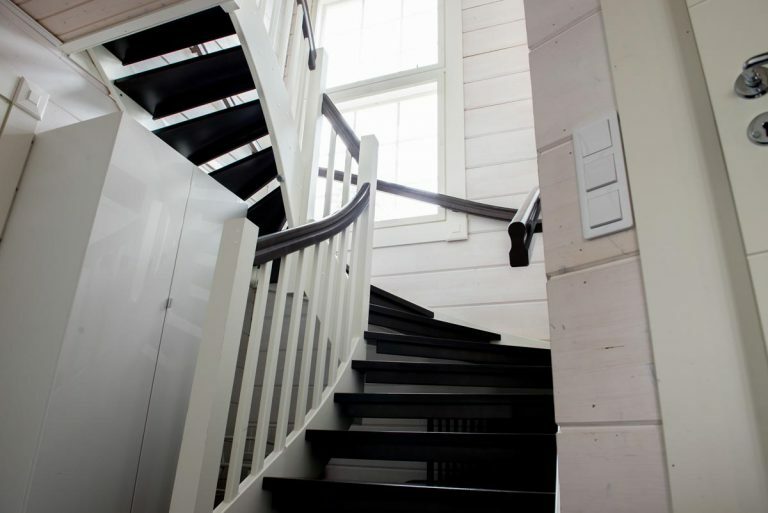 Upstairs: 4 bedrooms altogether. 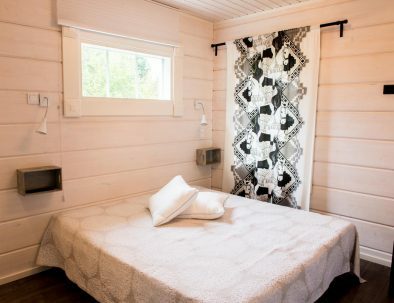 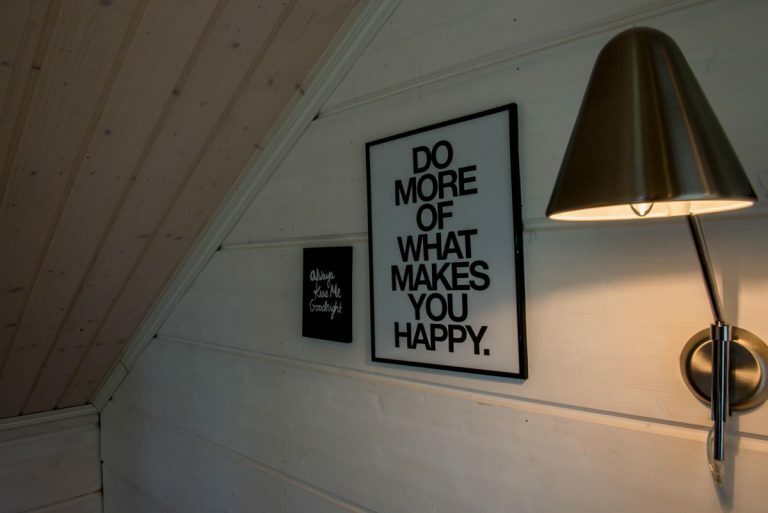 Bedrooms for 2 persons, 3 persons and 4 persons + a TV room with a couch bed. 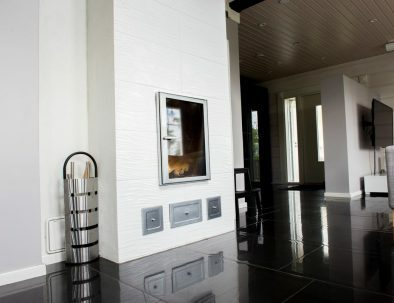 There is a 42″ TV and Blu-ray player in the TV room. 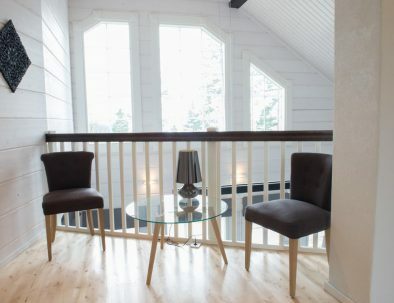 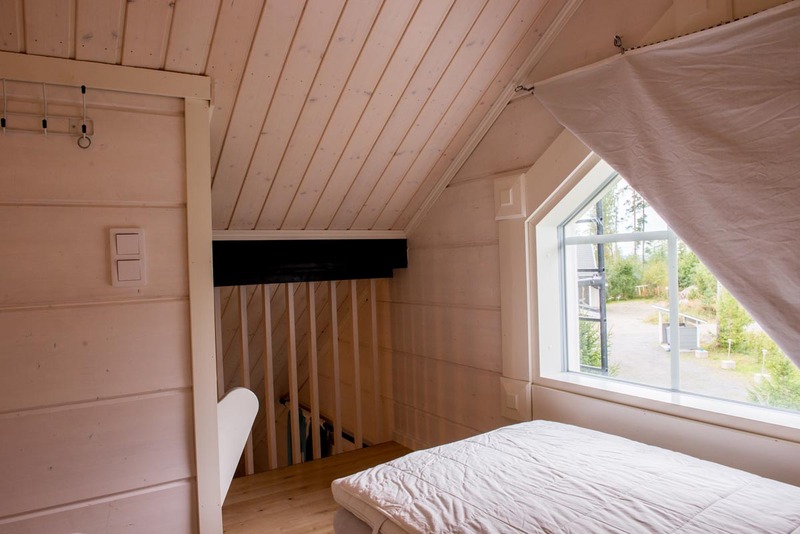 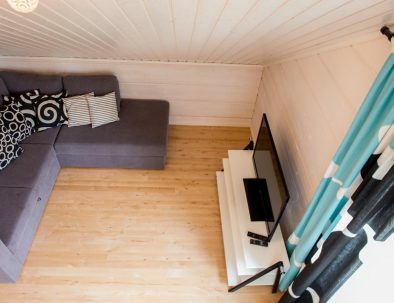 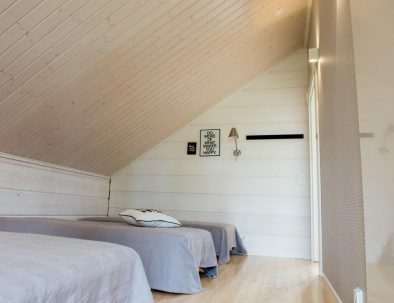 A small loft (high enough to stand) for 2 persons in the highest point of the villa. 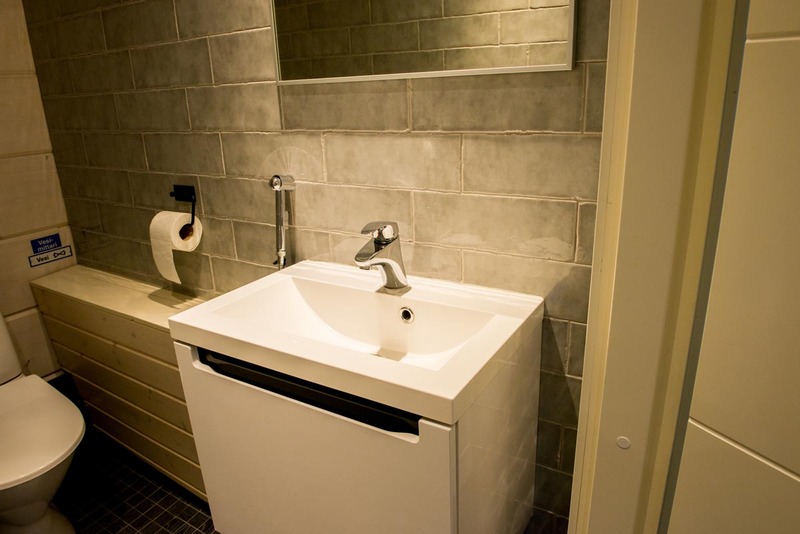 A small area for relaxing and the third toilet in the scenery lounge upstairs. 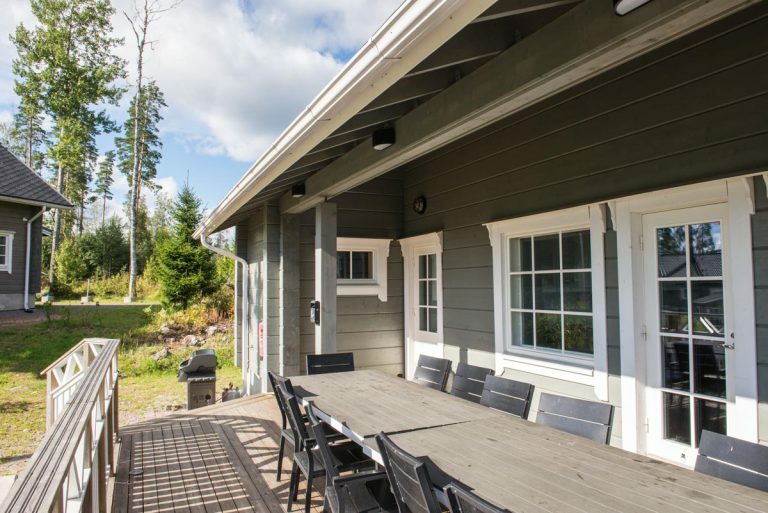 Patio: covered patio with a grill and furniture for 14 persons. 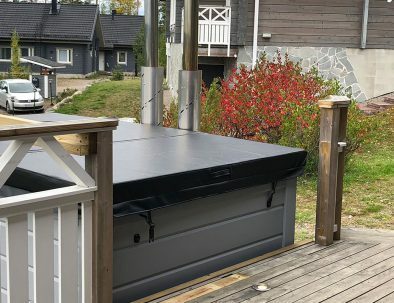 Note: the grill and furniture are available only during the summer season. 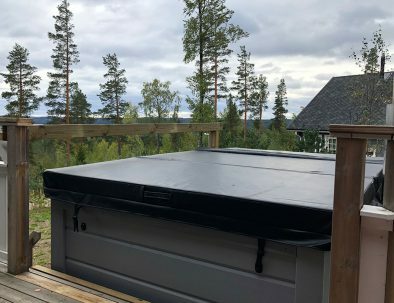 Hut tub for 10-12 persons. 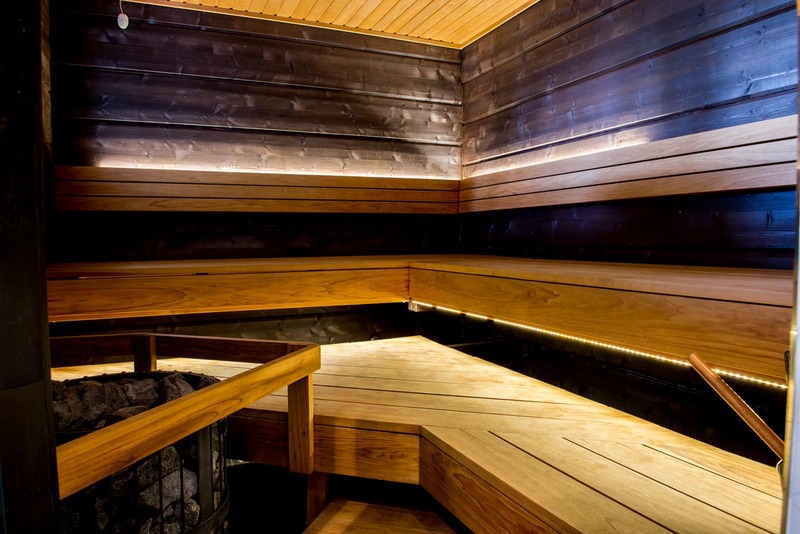 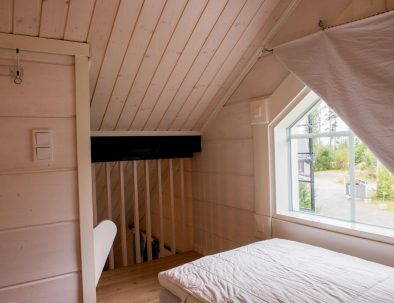 Easy access straight from the sauna and patio. 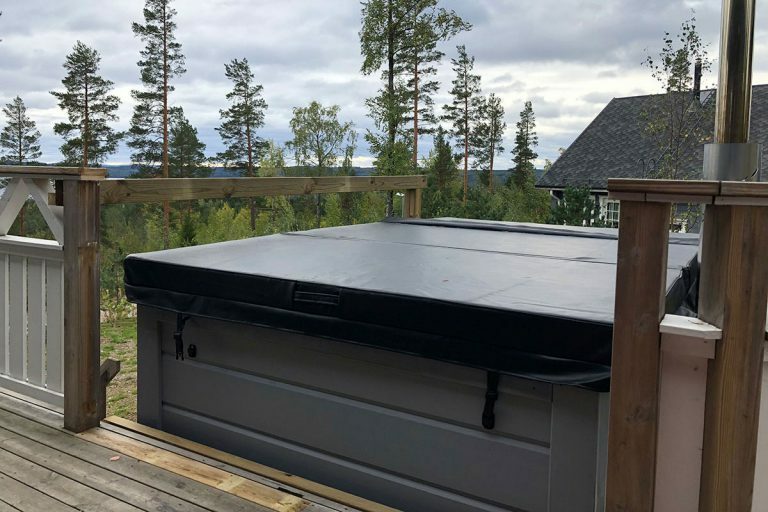 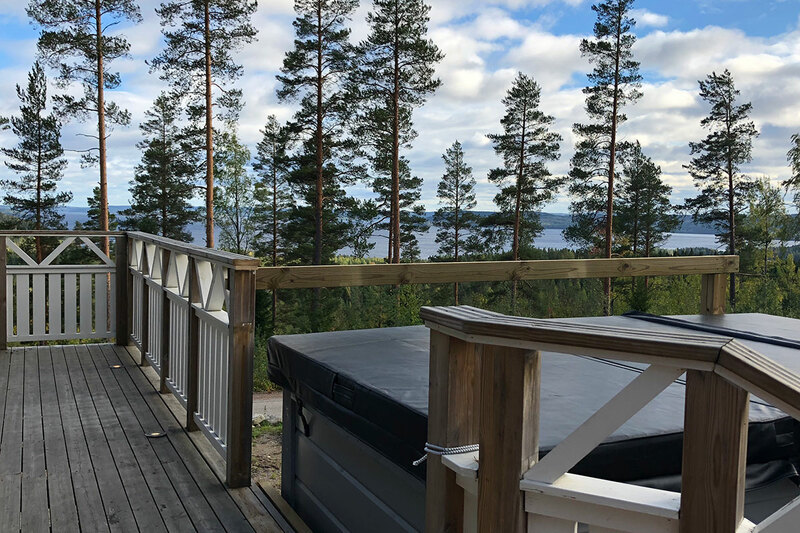 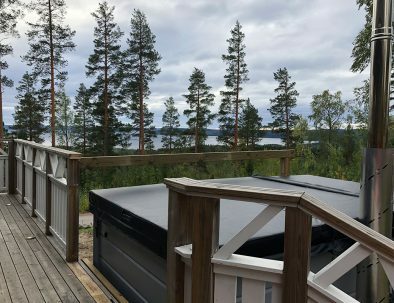 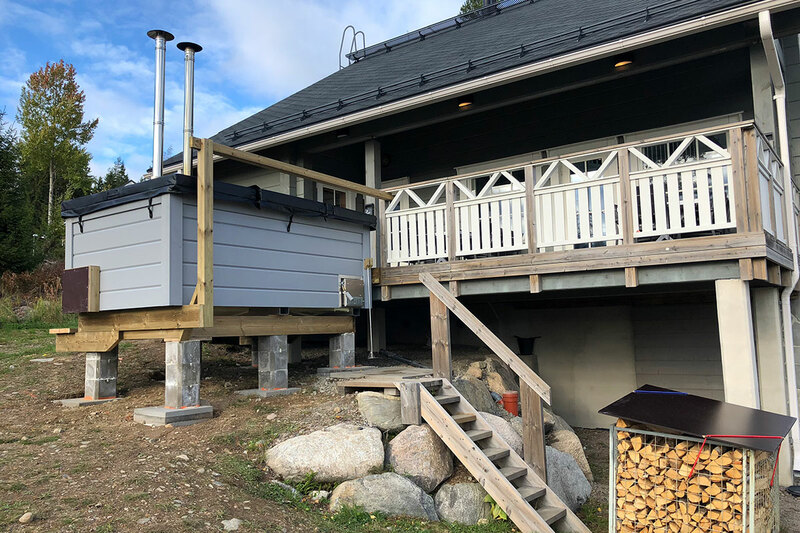 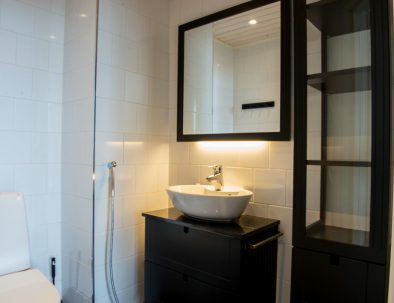 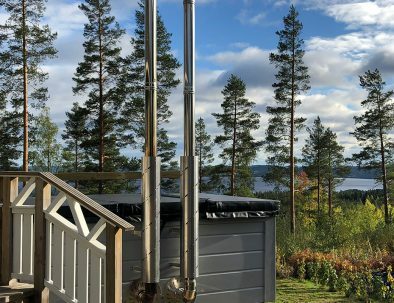 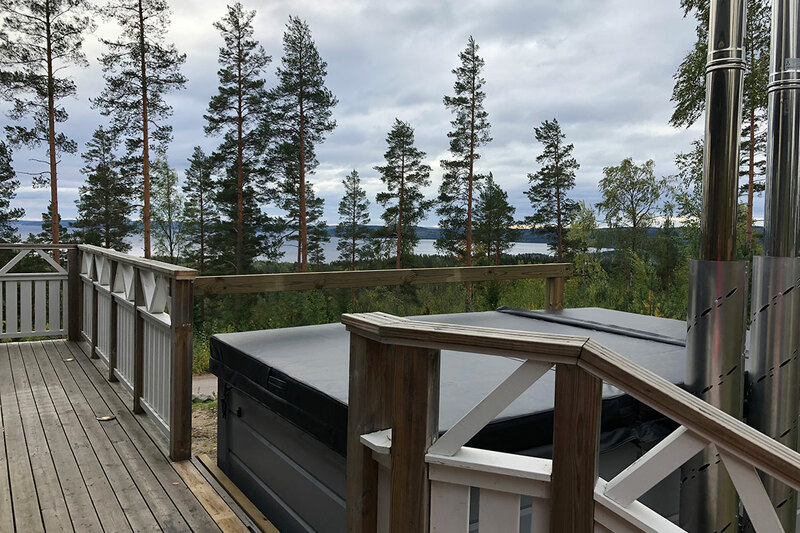 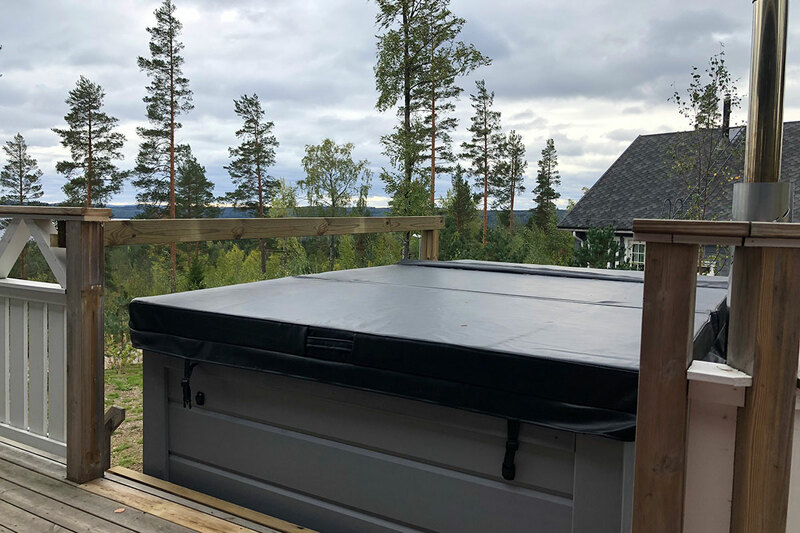 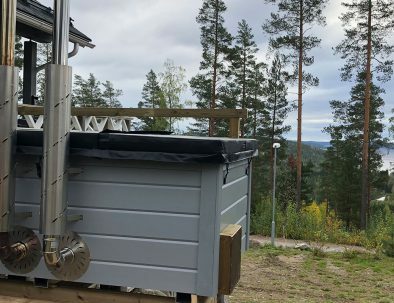 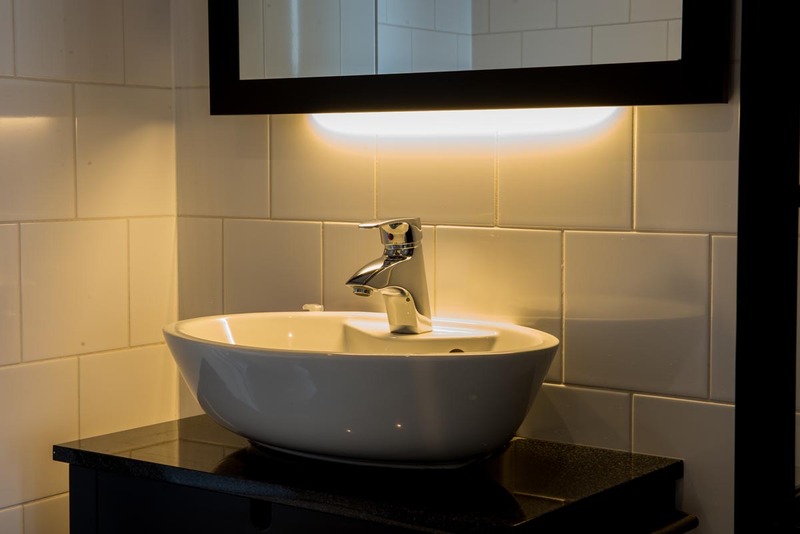 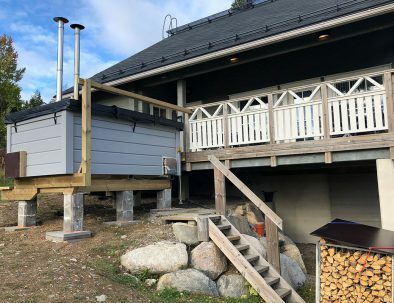 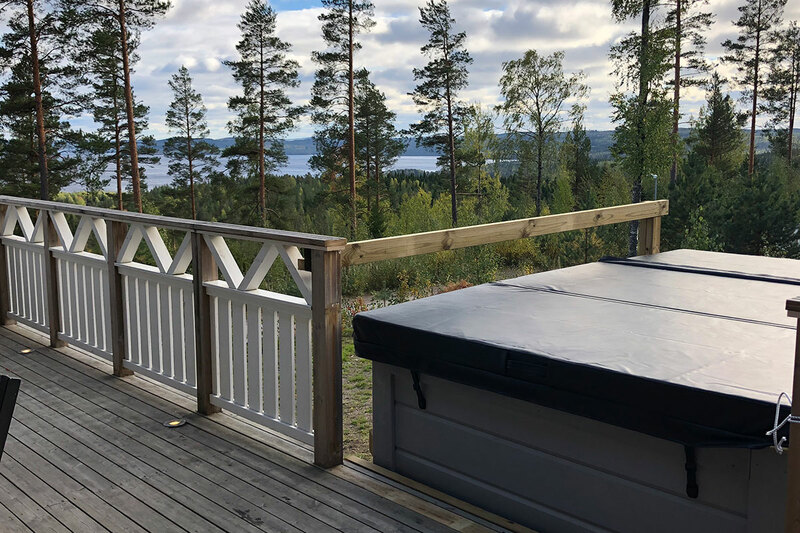 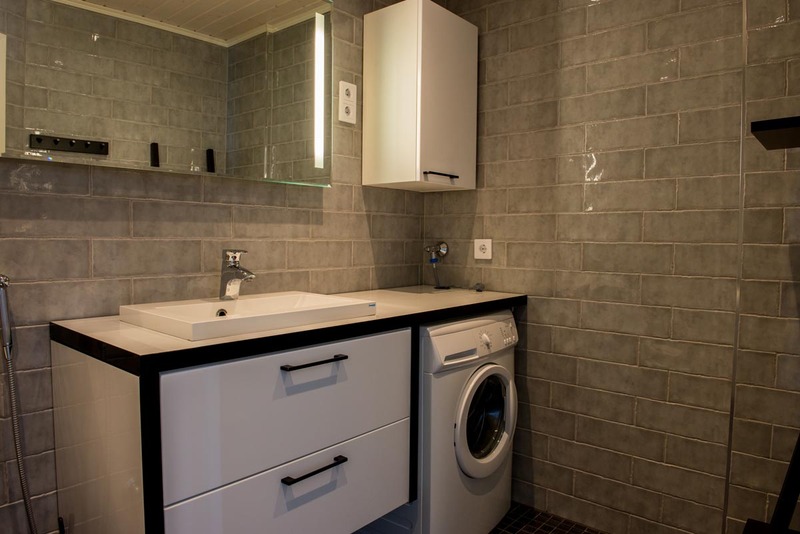 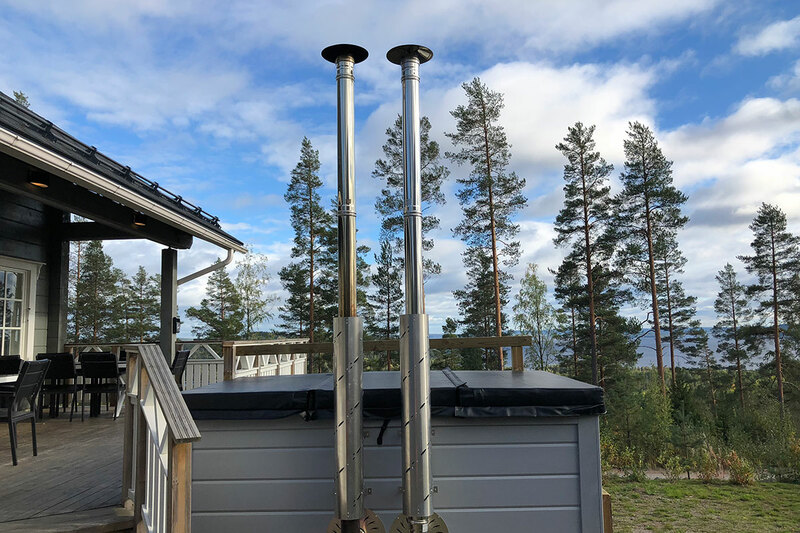 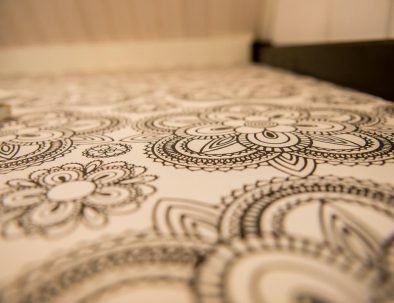 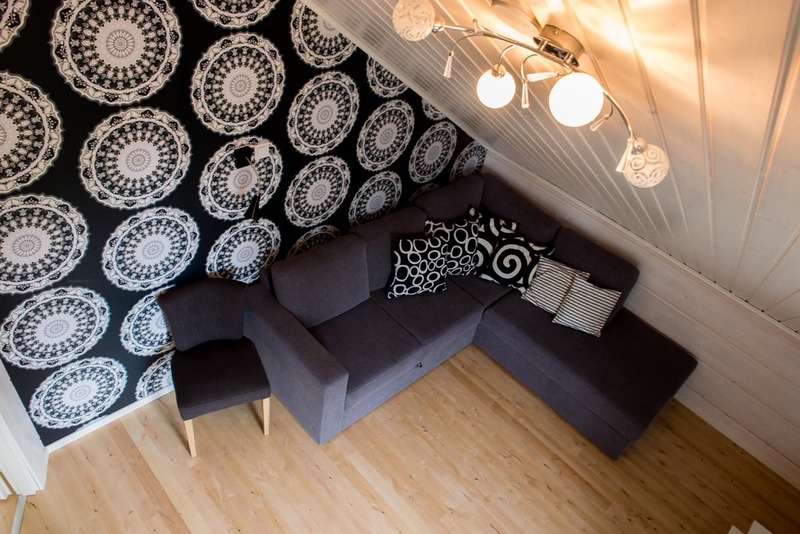 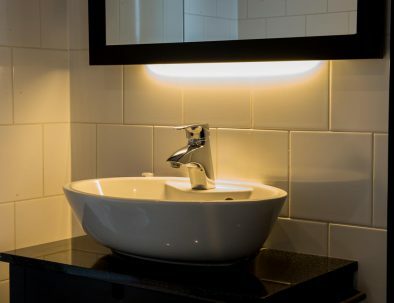 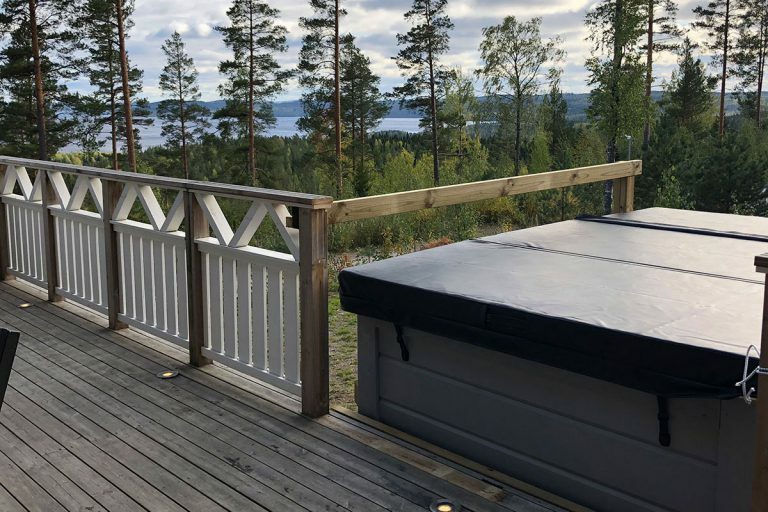 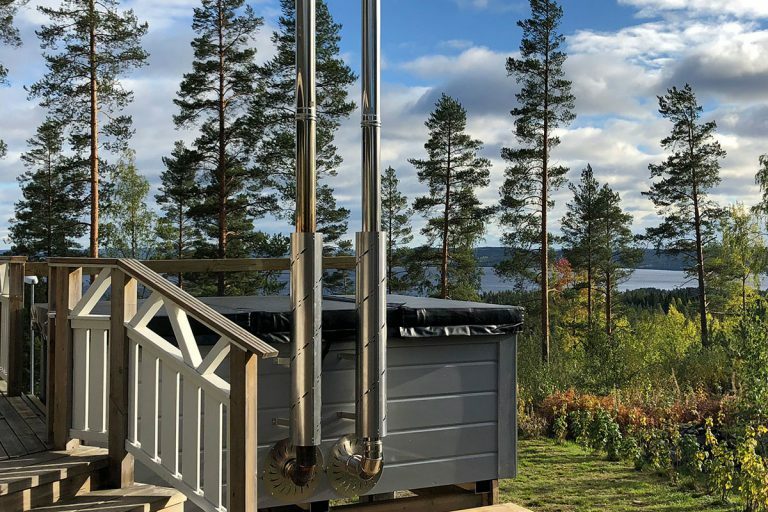 Our Villas Lumitähti is now equipped with a Hot tub, for 10-12 persons! 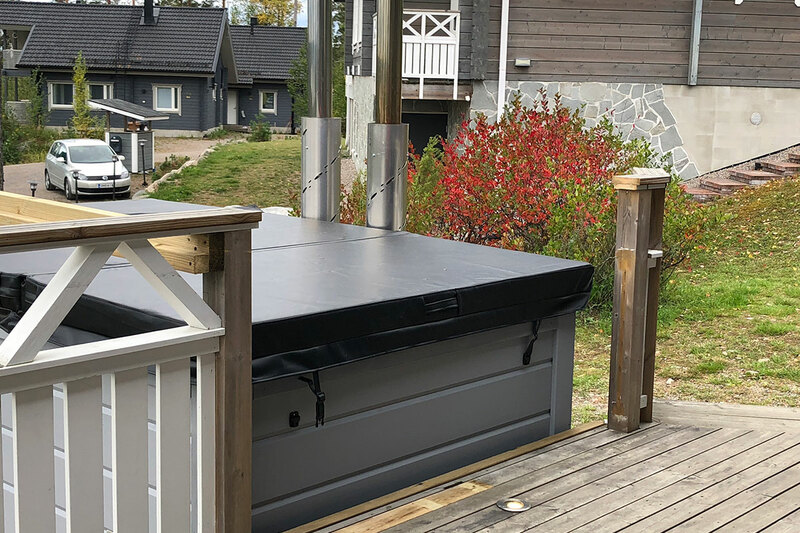 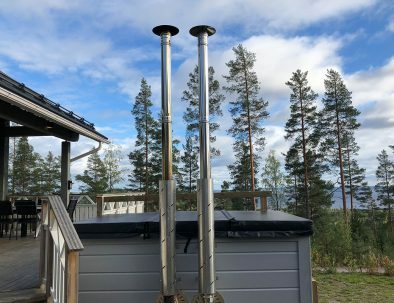 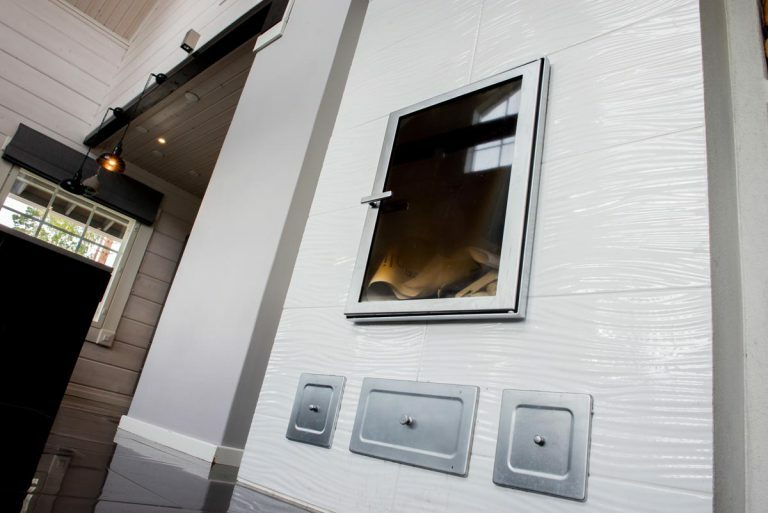 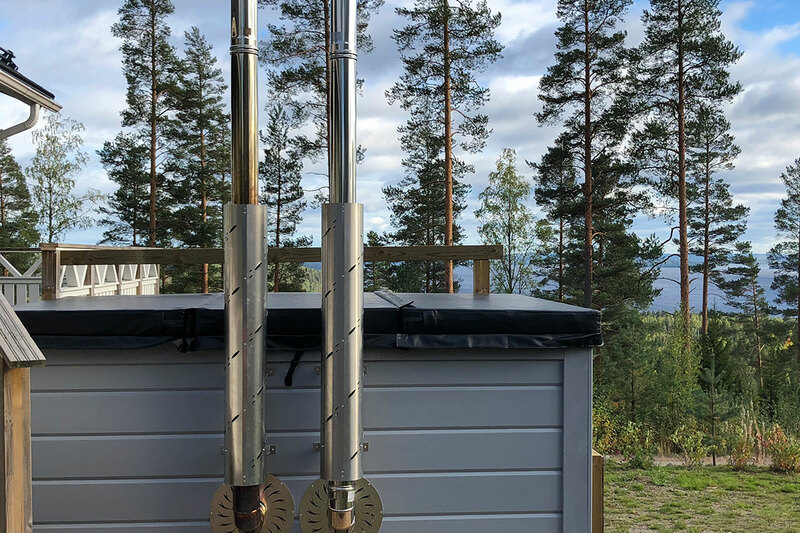 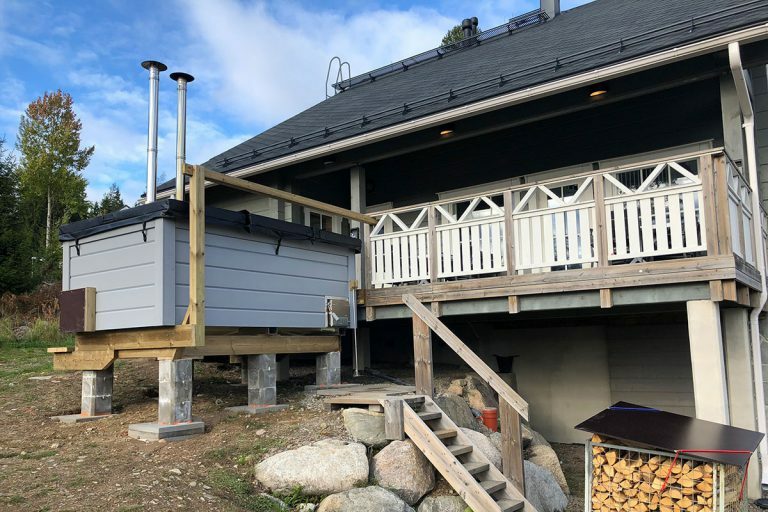 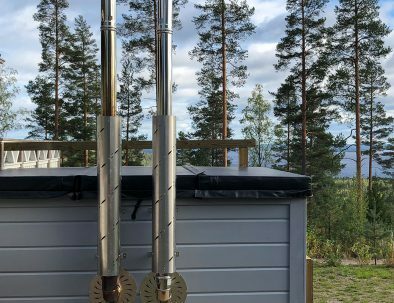 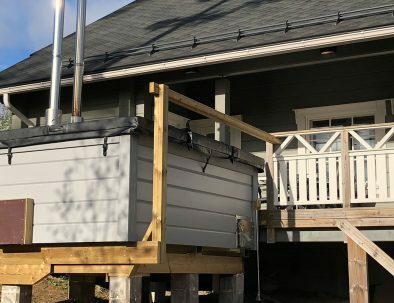 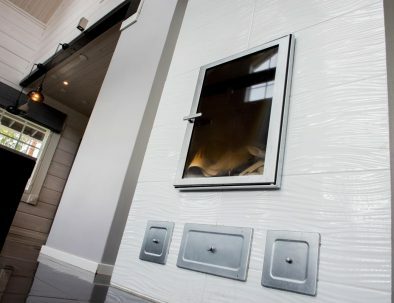 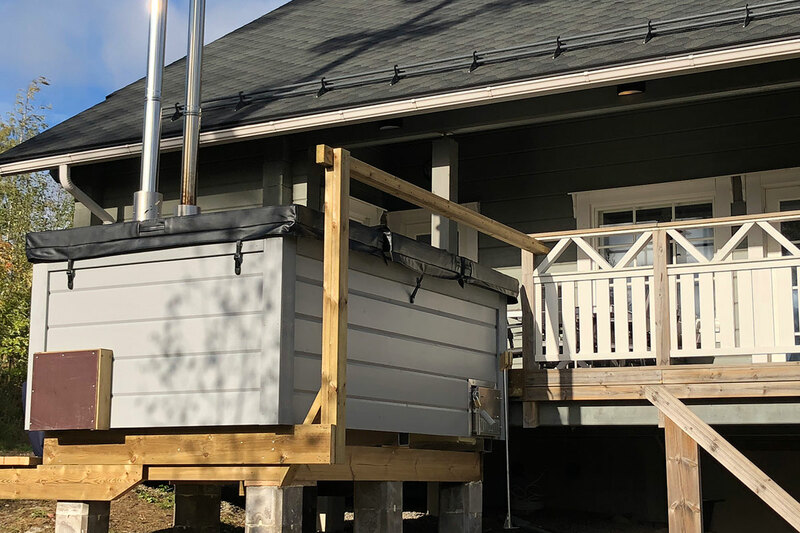 Easy access to the hot tob straight from the sauna and patio. 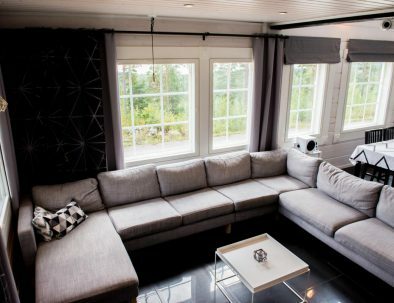 Enjoy some luxury!